It’s the Showdown Part II. 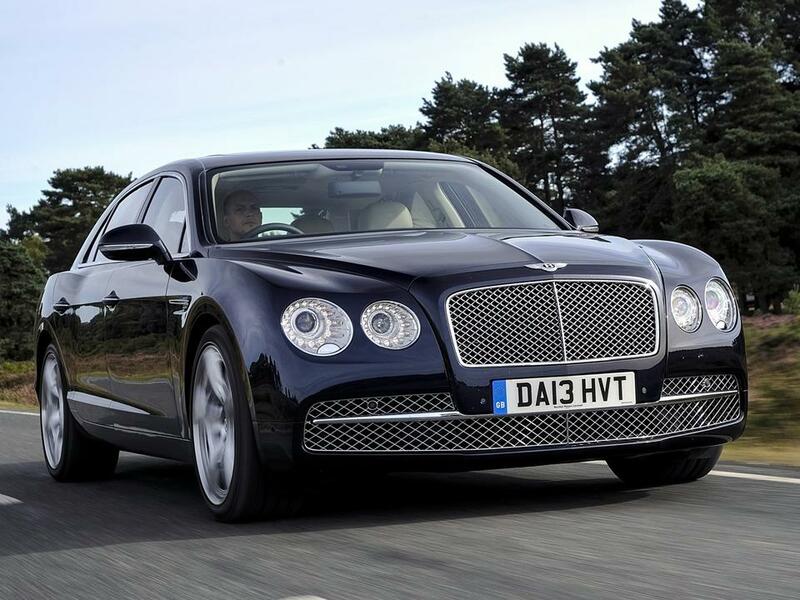 The Bentley Flying Spur is taking on the Rolls Royce Ghost. This will be as tough as Part I where I put the Phantom against the Mulsanne, there was no winner and there was no loser. They both held equal ground. Now we are going to look at the Flying Spur and the Ghost. They both are tricked out with gadgets and the latest technology. The entire world loves them both, it’s hard to think of one without the other, but this is a new century. 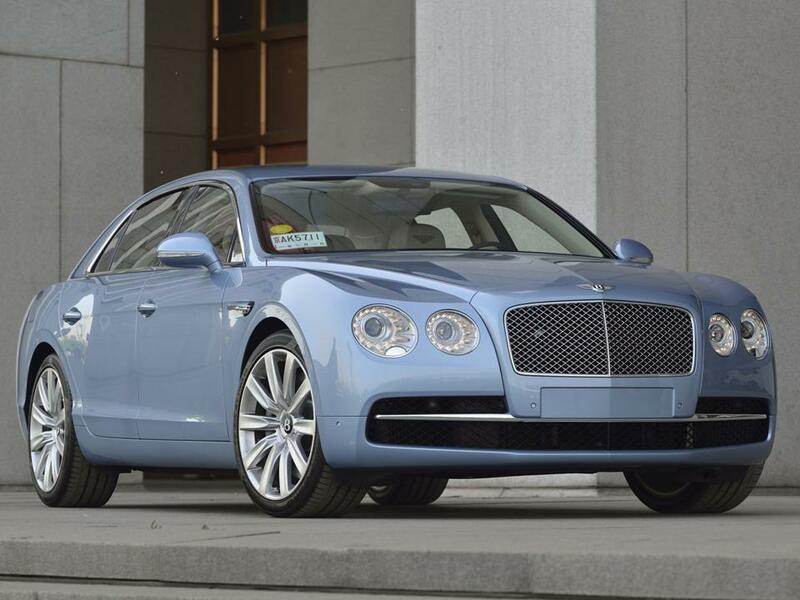 Bentley got a new life with the Volkswagen Group and likewise with Rolls Royce and BMW. I am going to place them side by side and let you decide………..How totally avant-garde! They both are on the cutting edge of technology, and both come equipped as ultra-luxury saloons as one would expect. There are options for both that go to infinity with their bespoke nature. I could have you reading non-stop forever and never exhaust the possibilities. 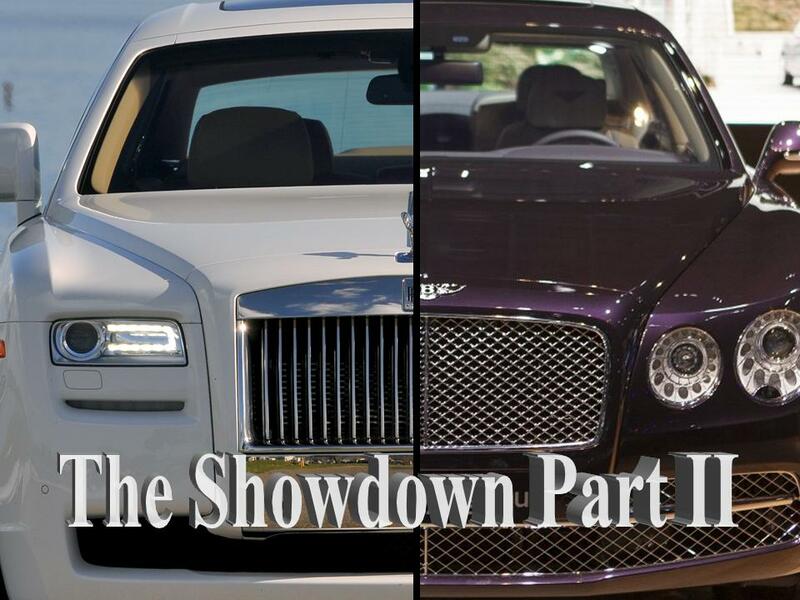 Phantom vs the Mulsanne, this is a genuine win/win situation! These are two of the most technologically advanced works of art in existence. 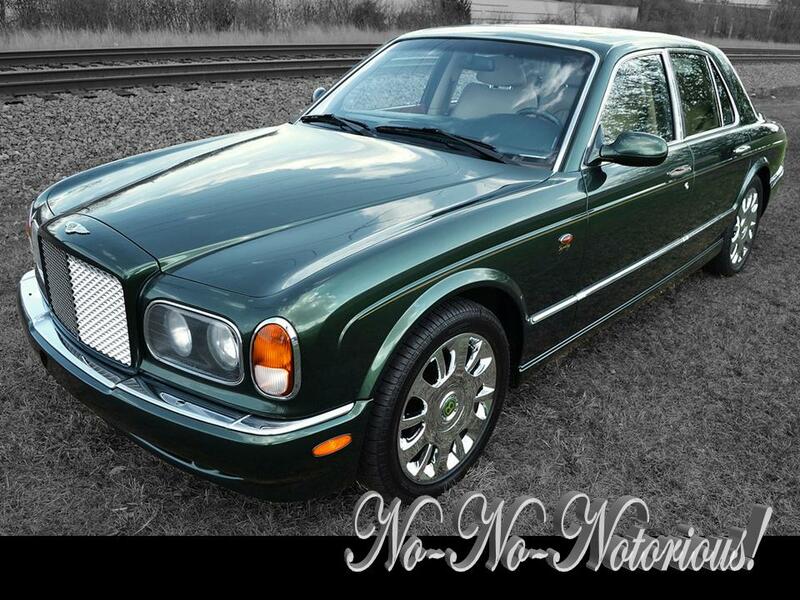 I would never ever write about them negatively, and if you’ve noticed….I do not refer to either Bentley or Rolls Royce in a nondescript manner. These automobiles deserve respect just because they ARE the best cars in the world! 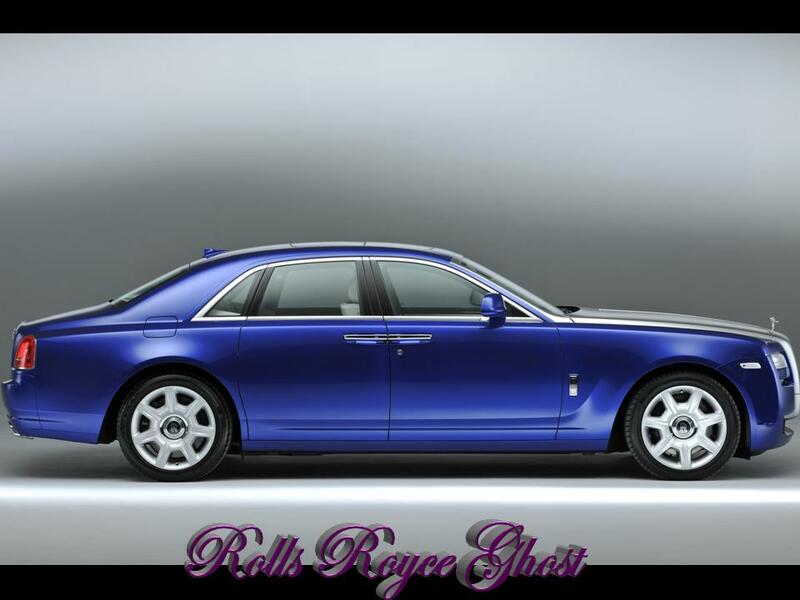 The Ghost will have a minor cosmetic tweak for the 2014 model year and photos that I like were not available yet, I am using the late 2013 variant of the Rolls Royce Ghost. I just have to share this. 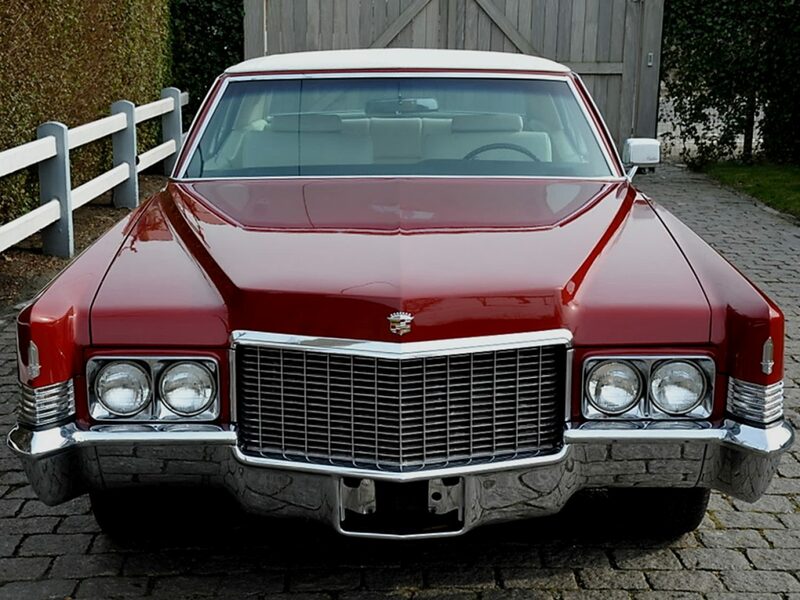 One journalist wrote a review/test drive for the Bentley Flying Spur…..and had the audacity to chide Bentley for having “cup holders too small, they wouldn’t fit his big gulp!” Excuse me…..excuse me….if we are consuming a big gulp wouldn’t we more likely be in our Chevy Impala? A freakin’ cup holder of all things! A nearly $300,000 ultra-luxury saloon and he was tacky enough to say that? And to add insult to injury, he had the audacity to say “the cup holder memo must have gone astray….THE epitome of luxury, the pinnacle of exclusivity and supremacy in motor cars and he goes off on a cup holder?…..OK now that I got to rant….let’s look at these supreme achievements in motoring. 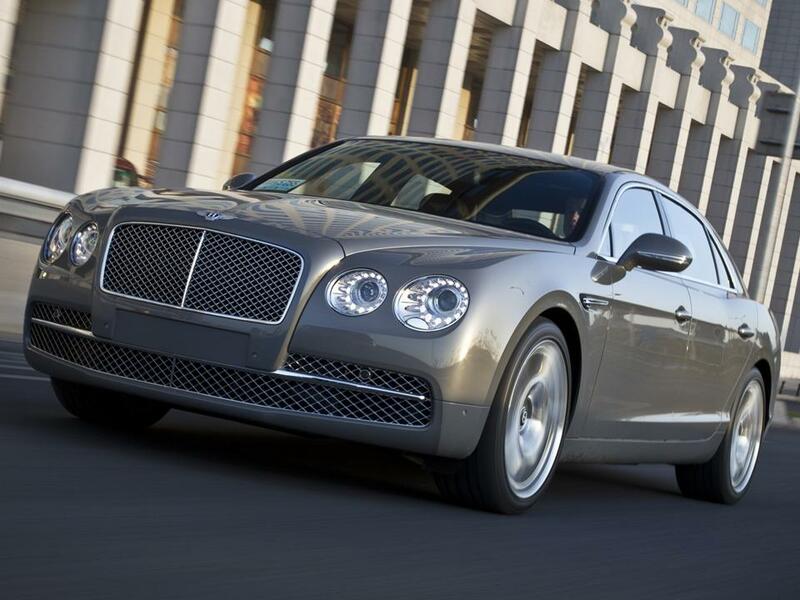 The Bentley Flying Spur is a driver’s grand tourer. 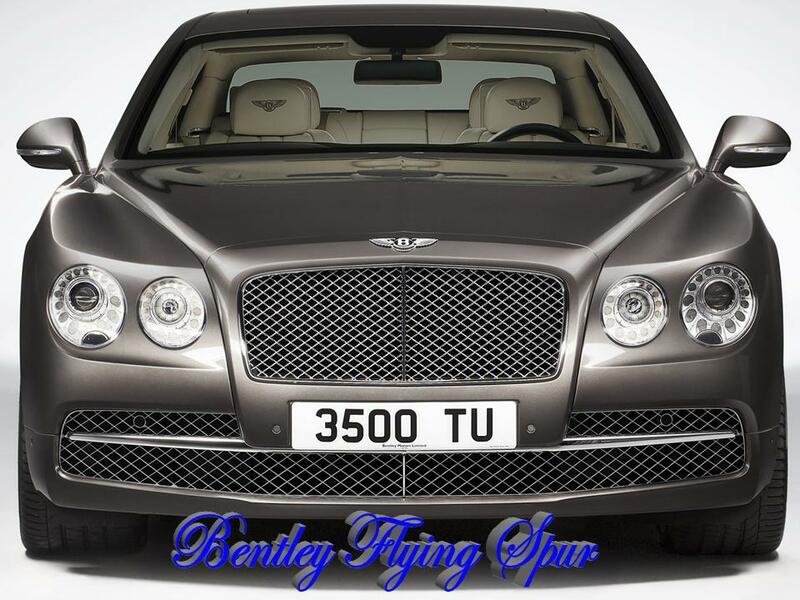 The name “Flying Spur” was assigned to coachbuilt special editions of both Bentley and Rolls Royce for many decades, usually crafted by hand from H.J. Mulliner and Park Ward. These saloons will always be the epitome of elegance and the height of luxury. Mulliner is now an in-house design department at Bentley. 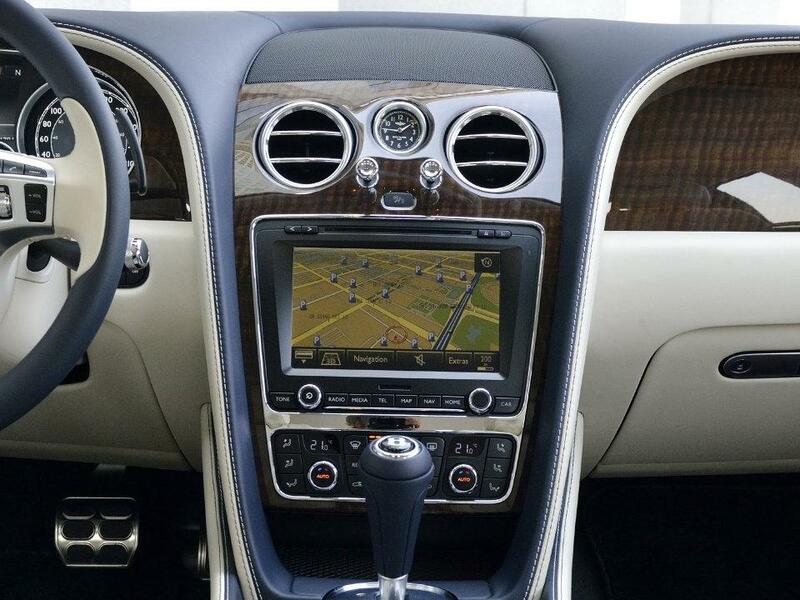 The 2014 Flying Spur with the “Mulliner Driving Specification” escalates the already elegant not to mention sumptuously decadent luxury to an even higher level of exclusivity and supremacy. 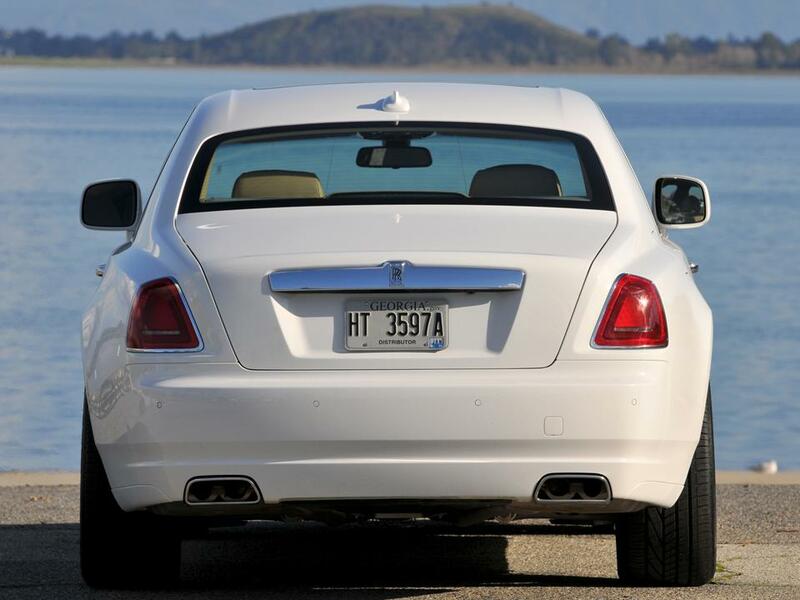 Each Mulliner Masterpiece becomes an instant collectible. 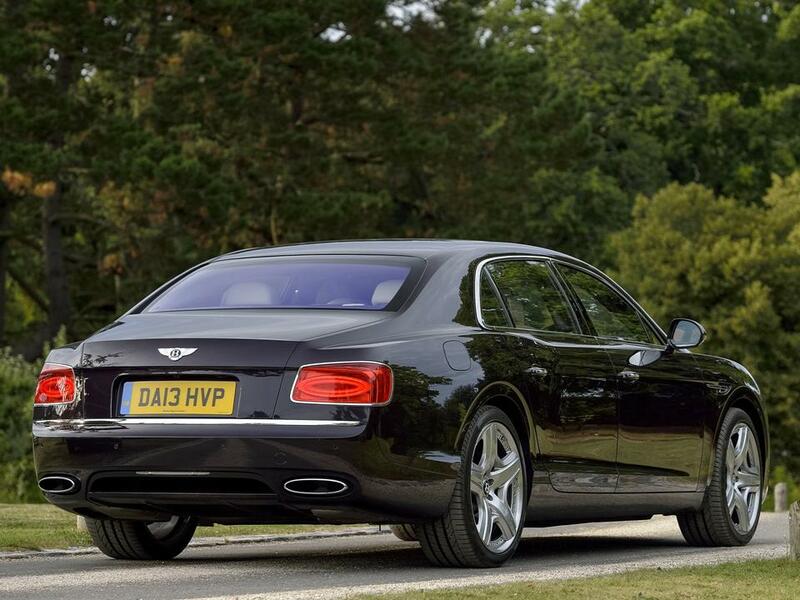 The new Bentley Flying Spur with the optional Mulliner Driving Specification is no exception. This elite upgrade adds additional hides expanding the total choices & shades with additional wood veneers. 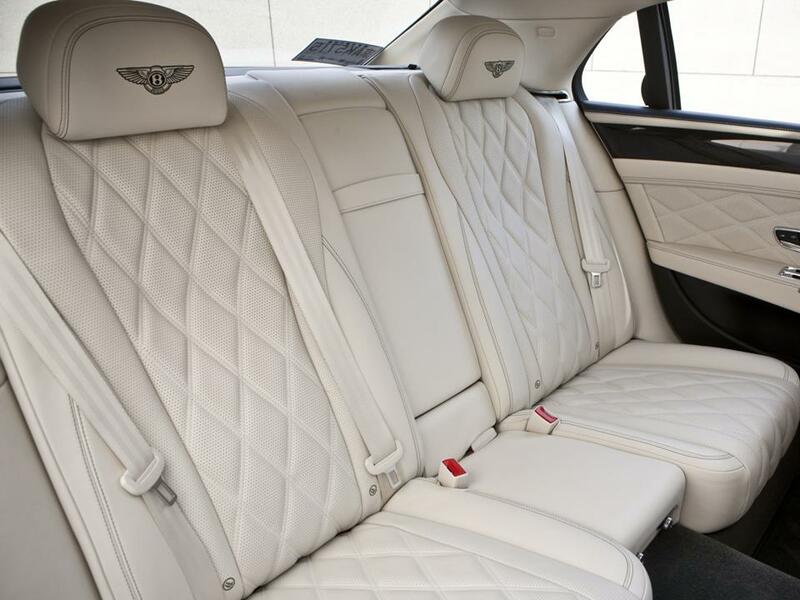 Bentley’s traditional diamond tufting is incorporated into seat trim & door panels with a perforated leather headliner. 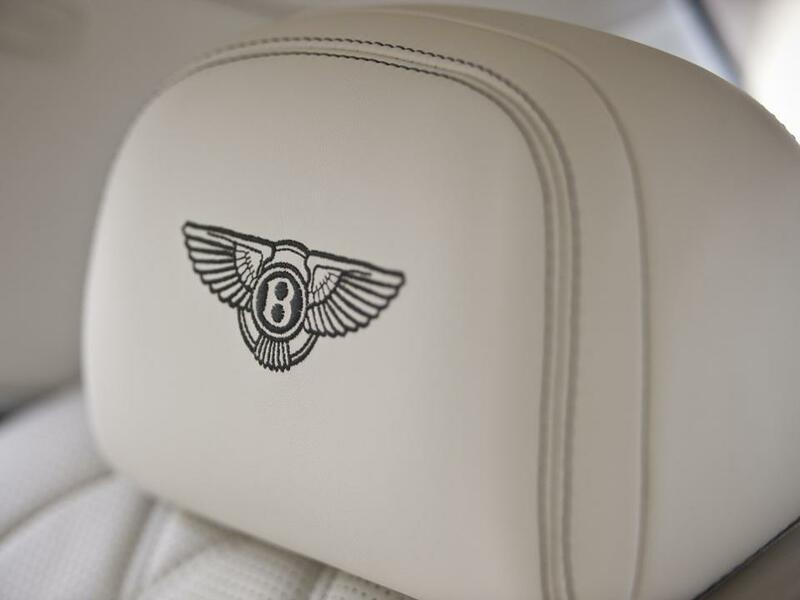 Bentley “Wing” motifs are embroidered into the head restraints. Drilled alloy foot pedals alert you to the fact that this is a driver’s grand tourer. A knurled sports gear shift lever and a jeweled filler cap with 21” two-piece alloy wheels in your choice of painted or polished finish complete the ultra exclusive Mulliner touch of class. 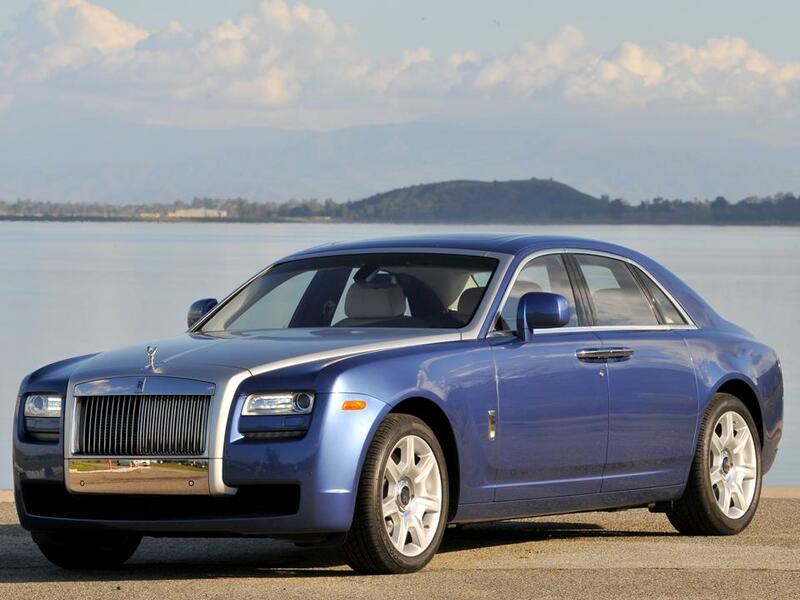 The Rolls Royce Ghost saloon is contemporary-size designed to be smaller and more realistic for today’s world. It comes as a standard wheelbase and an extended wheelbase four-door saloon. 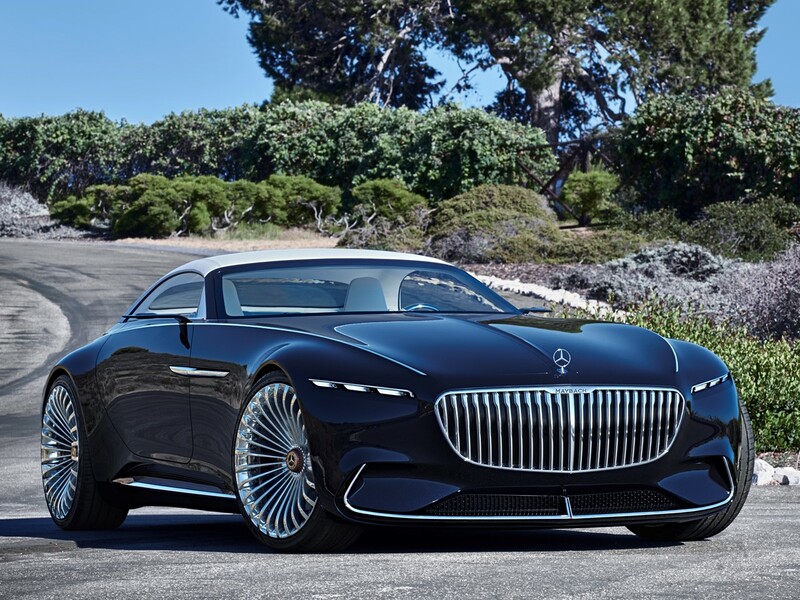 The Ghost is built on a heavily modified 7-Series BMW platform with 20% of its parts interchangeable with both cars. Surfaces flow between finely sculpted horizontal lines that provide definition. Together, the upward-sweeping sill line and low-cut roof create a powerful profile, almost as though the cabin has been pushed toward the rear. Powerful shoulders and flanks draw in sharply as they flow from the rear wings to the tail lamps, while touches such as the optional chromed exhausts hint at Ghost’s more dynamic nature. 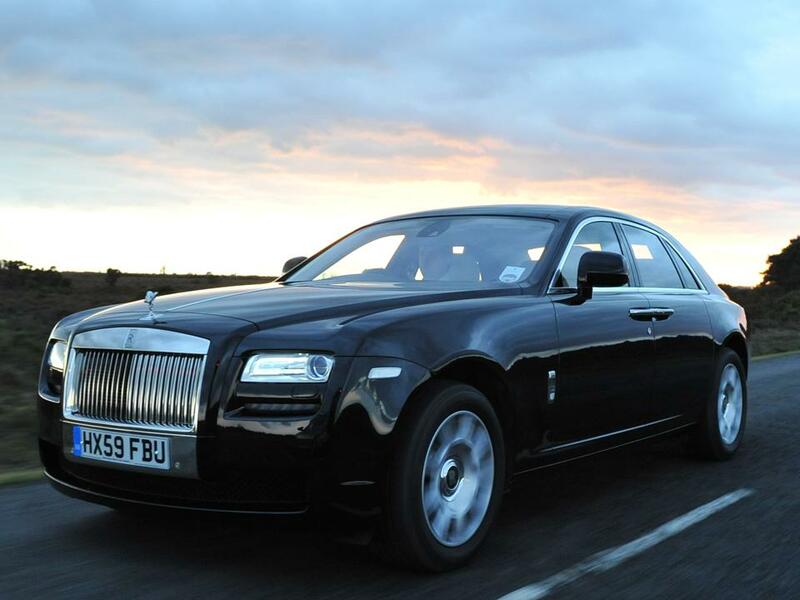 The Ghost passes through 2,000 individual operations and twenty days later to become a Rolls Royce. It takes seven days alone just for the paintwork and polishing. 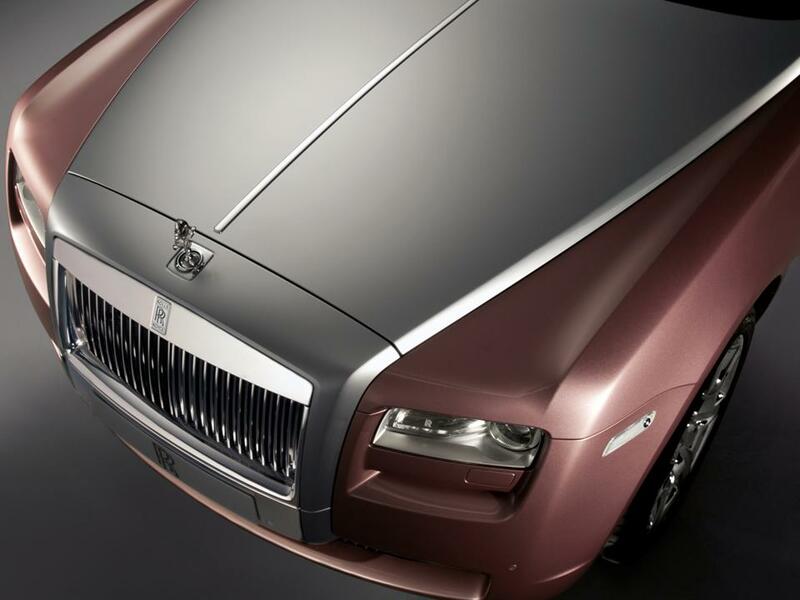 The Ghost is bespoke so the combinations available are infinite and span as far as one’s imagination (and wallet). 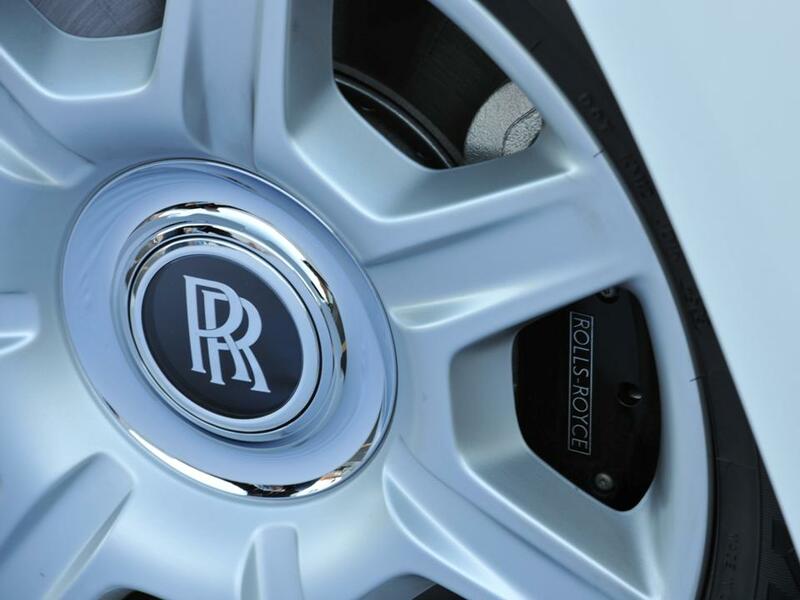 Contemporary touches include self-righting wheel centers and the Xenon headlamps that frame the latest evolution of the Rolls-Royce grille. Here the sides of the intake have been curved inwards and the vanes set back into the opening. 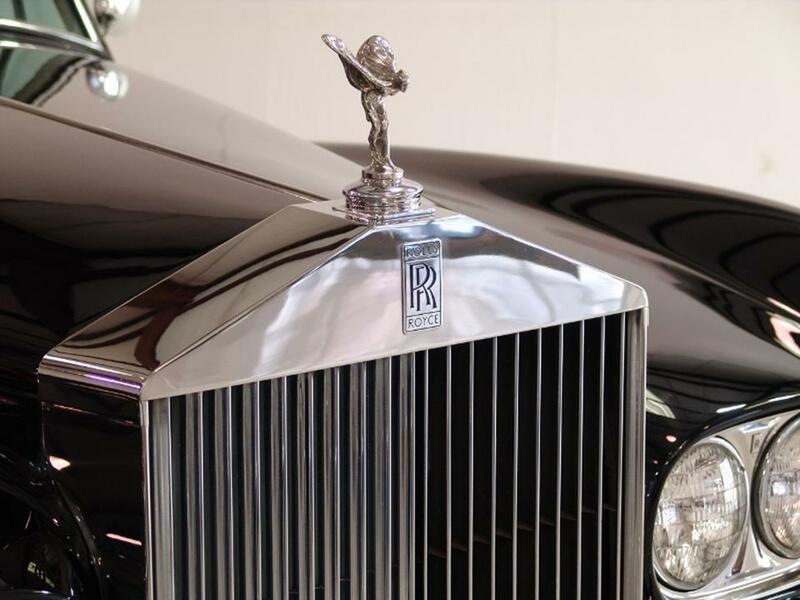 “We wanted this to be less reminiscent of the traditional Parthenon style and more like a jet intake,” says Rolls Royce’s Ian Cameron. 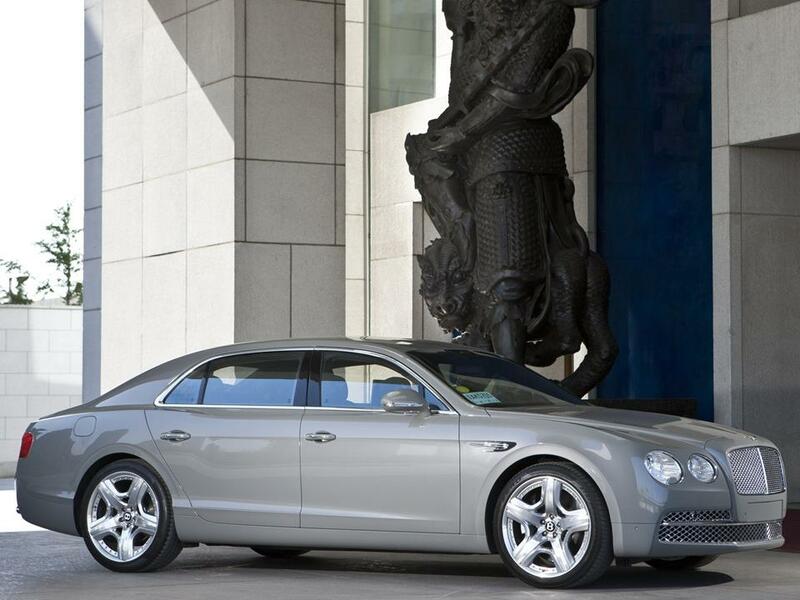 The Bentley Continental Flying Spur saloon was introduced in 2005 essentially as a four-door Continental GT. It was an immediate success. 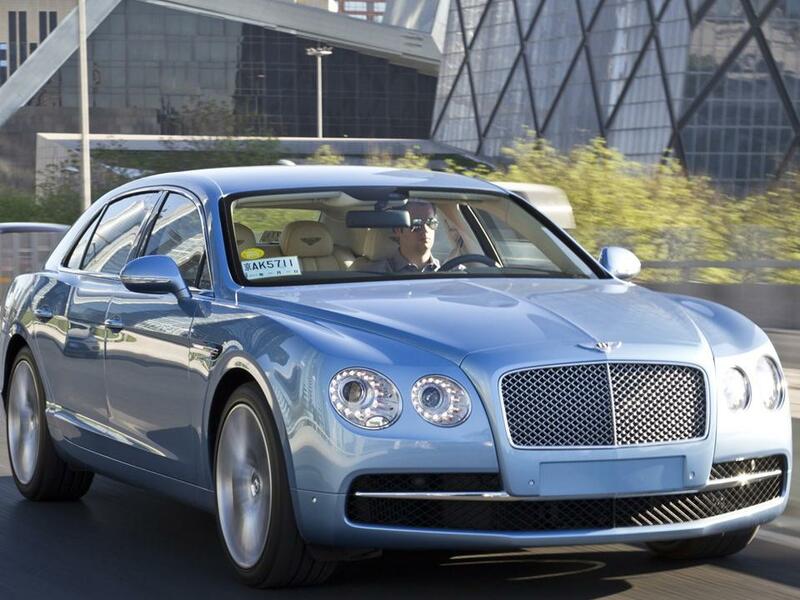 Posh, poised and powerful from the New Bentley Motors, luxury took on a completely new style. 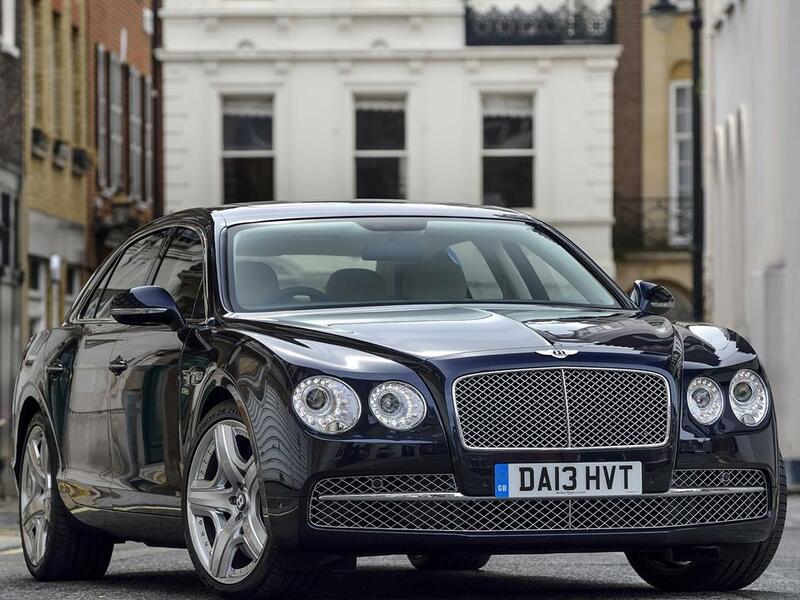 Bentley has since established a new luxury performance sedan benchmark with the all-new Bentley Flying Spur saloon launched March 2013 at The Geneva Motor Show. This exquisite hand-crafted work of art exemplifies the world-wide success of the iconic Bentley brand and expands upon the unrivaled performance making the Flying Spur the most powerful four-door Bentley ever. 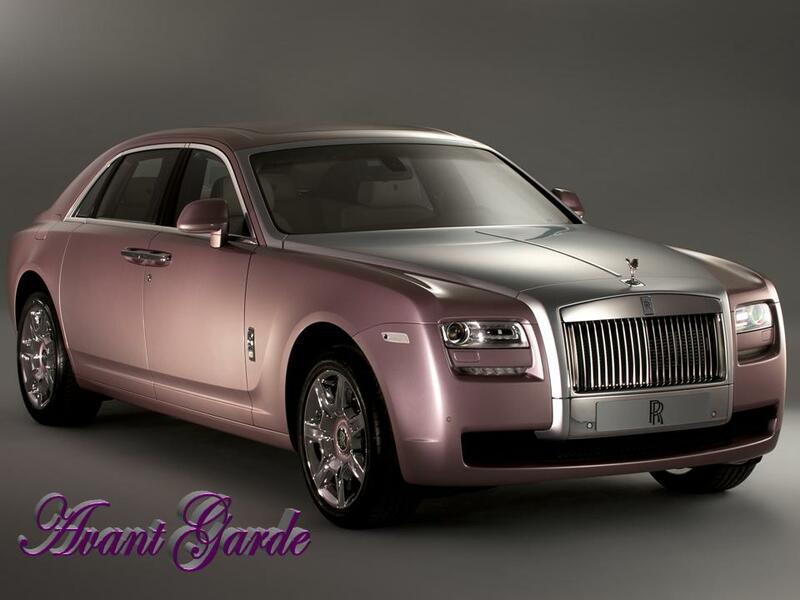 The Rolls Royce Ghost was announced at the Paris Autumn 2006 Motor Show only as “Work has begun on a new model series,” it was a series that would be in production and on sale by the end of the decade. 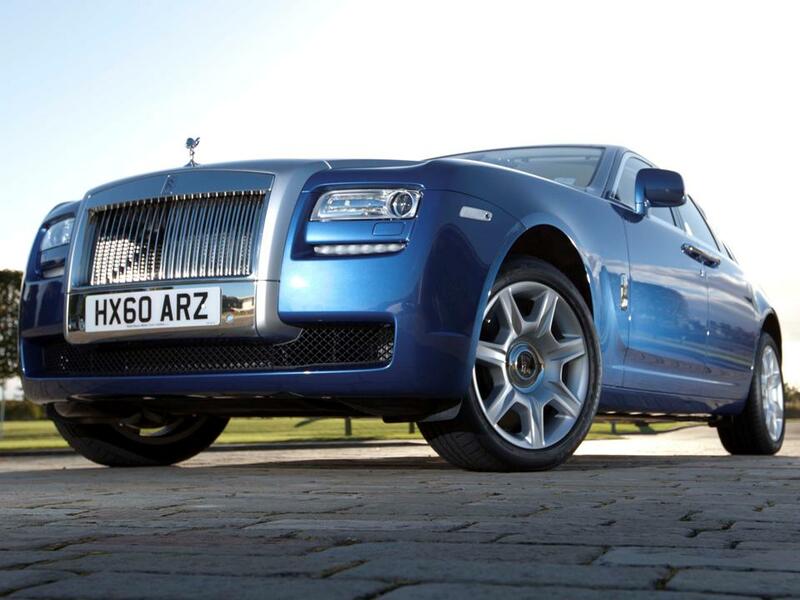 The only other facts given were that it would be smaller than the Phantom and priced between 200,000 & 300,000 GBP. 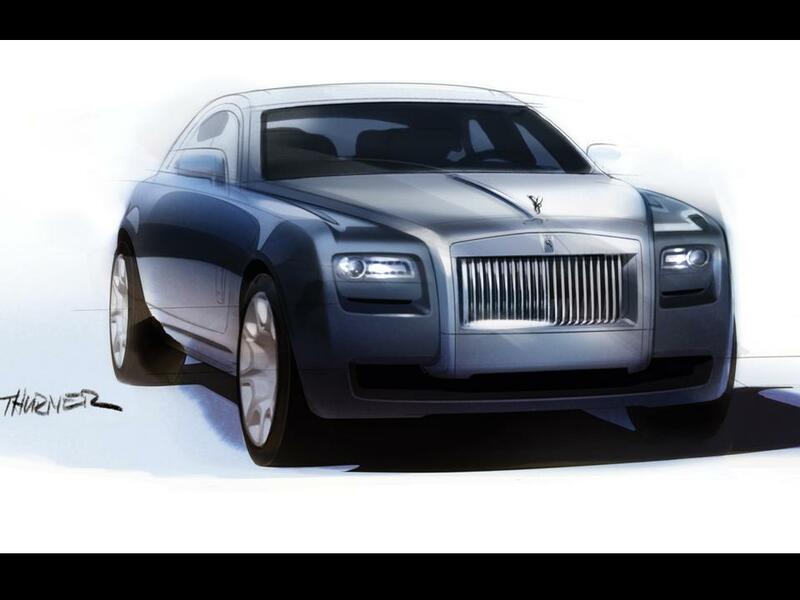 The project was code-named “RR4” and it wasn’t until the spring of 2008 that official sketches were released to the public. 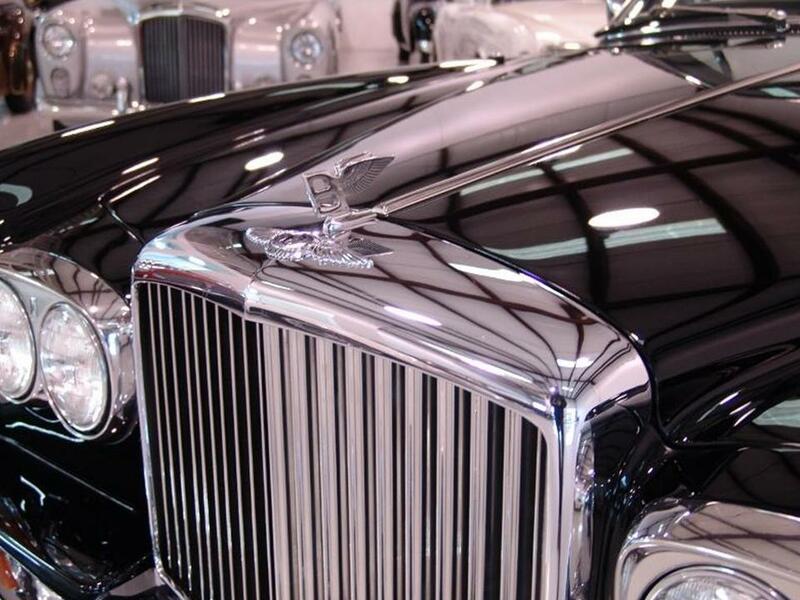 The Rolls Royce designers created a modern version of the legend but remained true to its luxurious heritage. The 200EX Concept was released at the march 2009 Geneva Motor Show as a statement of intent to build. After its overwhelmingly positive reception, very few transitions were made to the 200EX to release it to the world September 2009 when it formally launched. 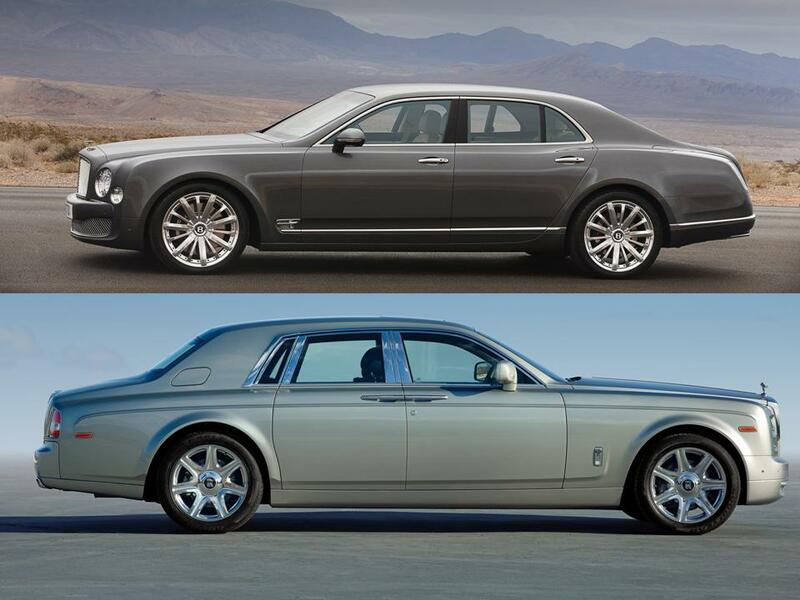 The Ghost looks like a scaled down version of the elegant Phantom series. 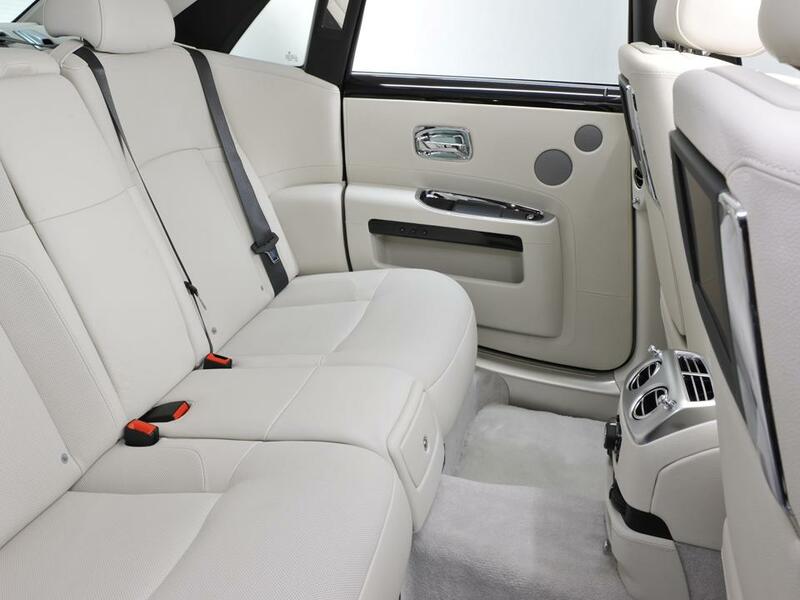 The interior of the Ghost is nearly as spacious as that of the Phantom. The Ghost was meant to exude a less formal aura. 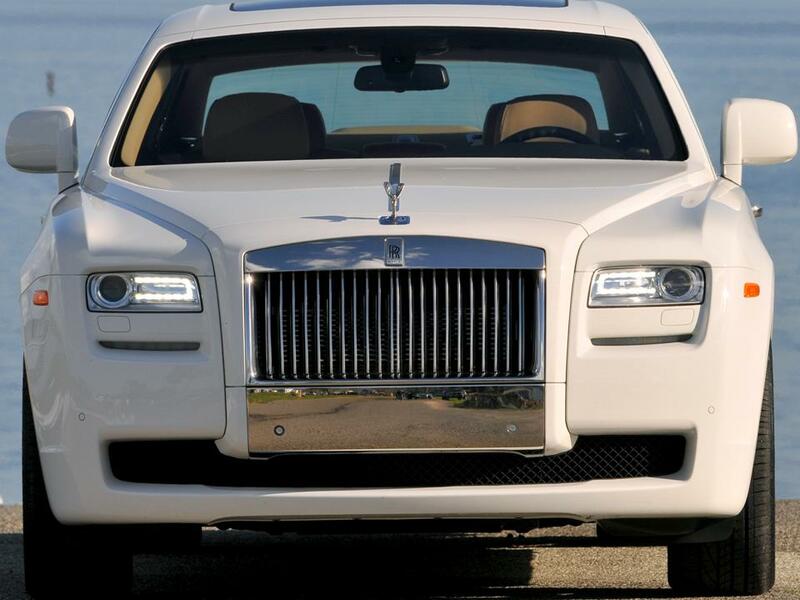 It is Twenty-first Century luxury in the Rolls Royce tradition. 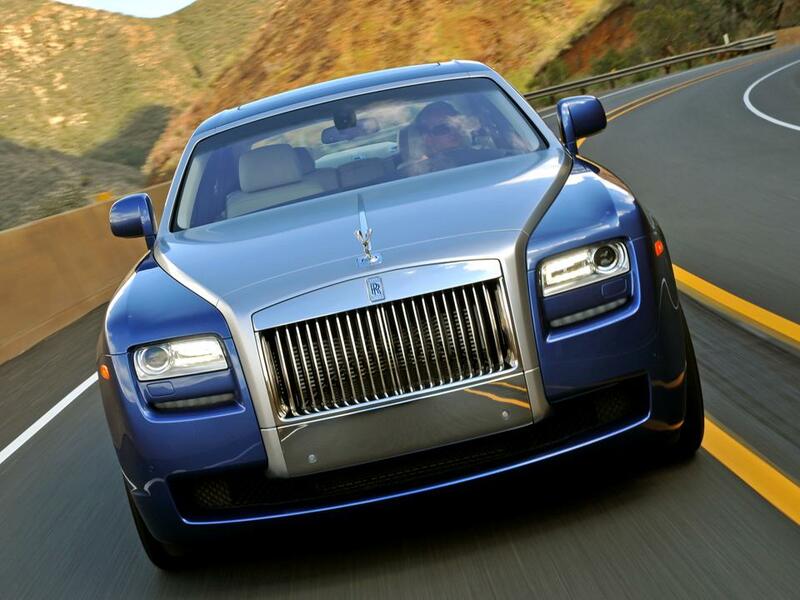 “Ghost is one of the most revered names in automotive industry,” said Tom Purves. “It evokes images of adventure and technical innovation. 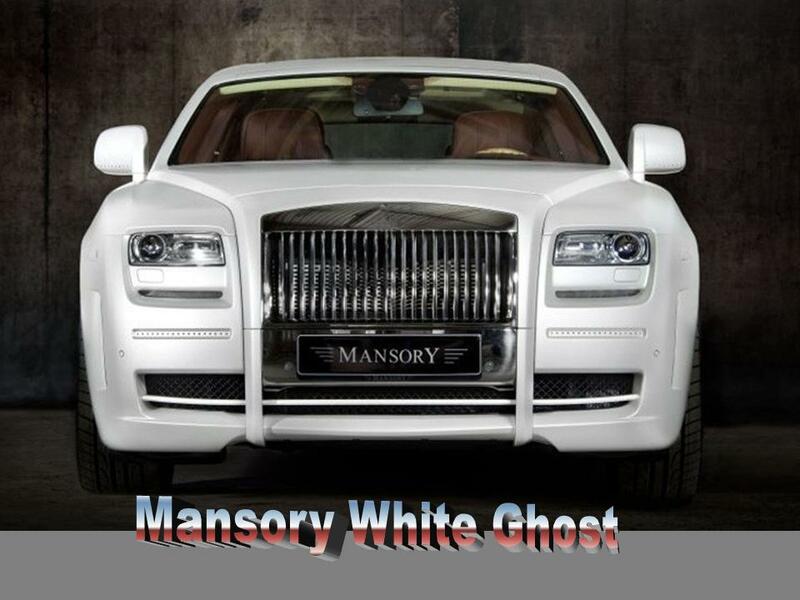 The first cars to bear the Ghost name were known not only for impressive dependability and refinement but also great flair and style.”……..They are still running neck to neck. Let’s look into the mechanics…. 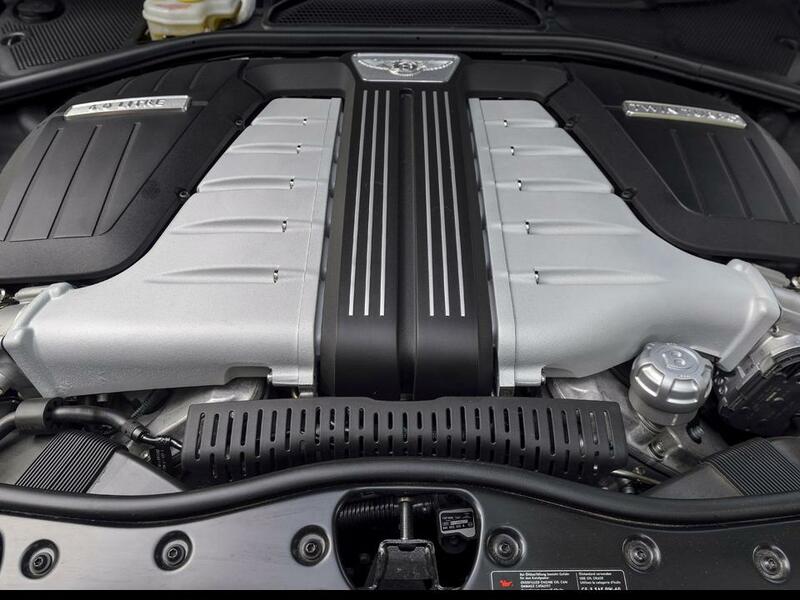 The Bentley Flying Spur has a lightweight alloy 6-litre 48-valve four cam twin-turbocharged W12 engine that moves this performance limo with a top speed of 200 mph. 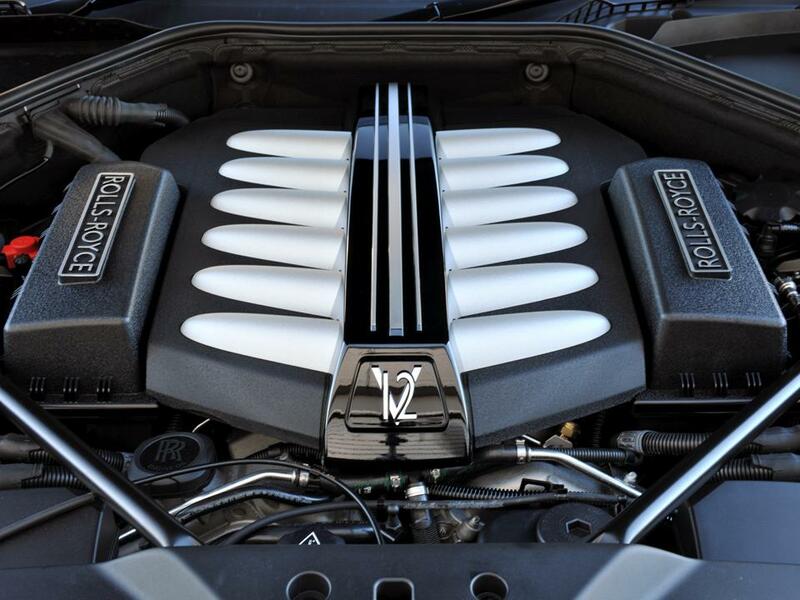 This 12 cylinder power plant produces 616 bhp @ 6,000 rpm with 800 Nm peak torque. 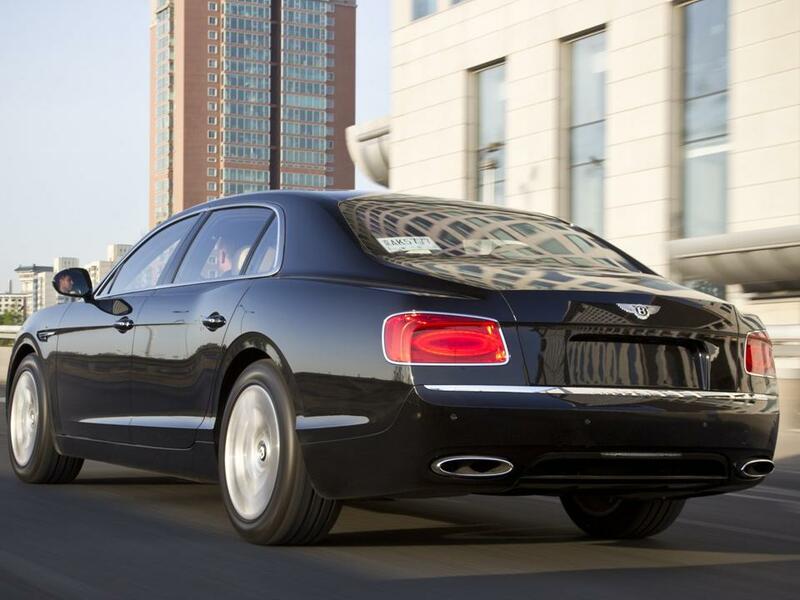 The Flying Spur leaps from 0-60 in just 4.3 seconds, which is awesome coming from a 5,000+ pound behemoth. It uses a Bosch ME 1 7 interface as the new engine management system. The ZF eight speed transmission drives all four wheels with a 40:60 rear biased torque split. The sophisticated electronic suspension has dampers dedicated to each wheel allowing all four wheels to intuitively calibrate themselves individually. 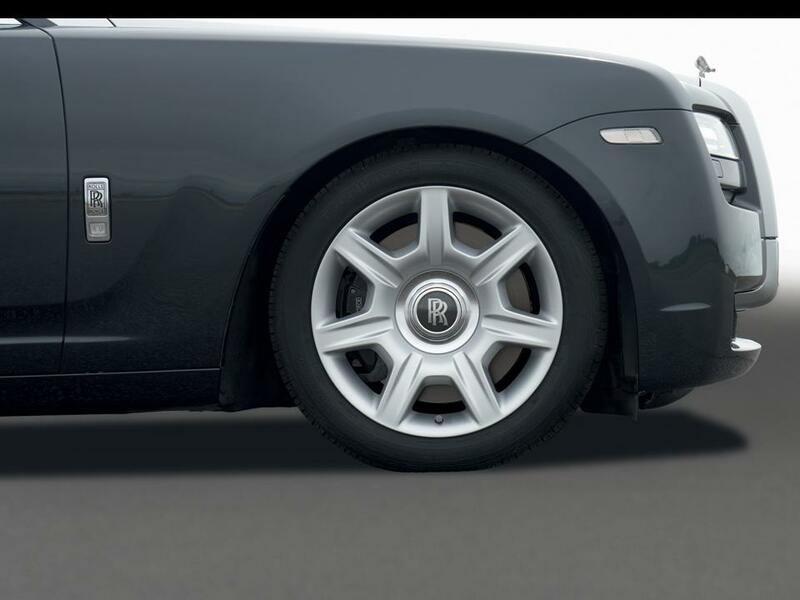 It works as a network, if one wheel is losing grip, a braking action controls the affected wheels to counter with power shifting between the front and rear drive wheels as needed to correct. 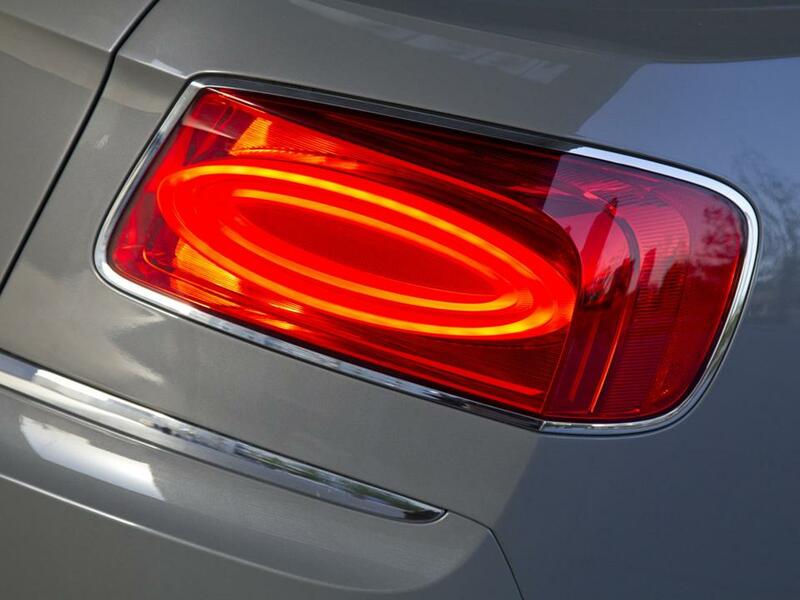 This feature combined with the Flying Spur’s electronic height control provides optimum performance in any driving conditions. It outpaces many sports cars with its lightning-quick response. The Car actually lowers itself at high speeds to remain aerodynamically poised achieving a lower drag co-efficient to increase fuel economy. 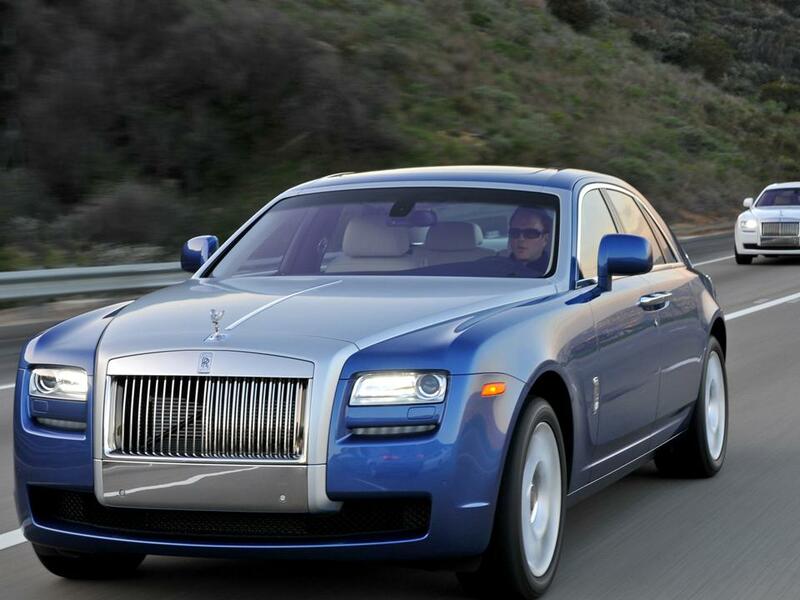 The Ghost’s power comes from a BMW based 6.6 litre twin-turbocharged V12 that delivers 563 horses @ 5250 rpm. It springs from 0-62 in 4.7 seconds with a top speed of 155 mph. It rides on a double wishbone front suspension with a multi-link rear utilizing a four-cornered air system that is completely self leveling. It employs an electronic variable damping system that is so sophisticated that it can detect the movement of a single passenger and adjust itself accordingly! Sure footed confidence stems from a series of complex electronics like anti-roll stabilization, dynamic brake control, and dynamic traction control which includes cornering brake control. We can clearly see which of the two are the more spirited. 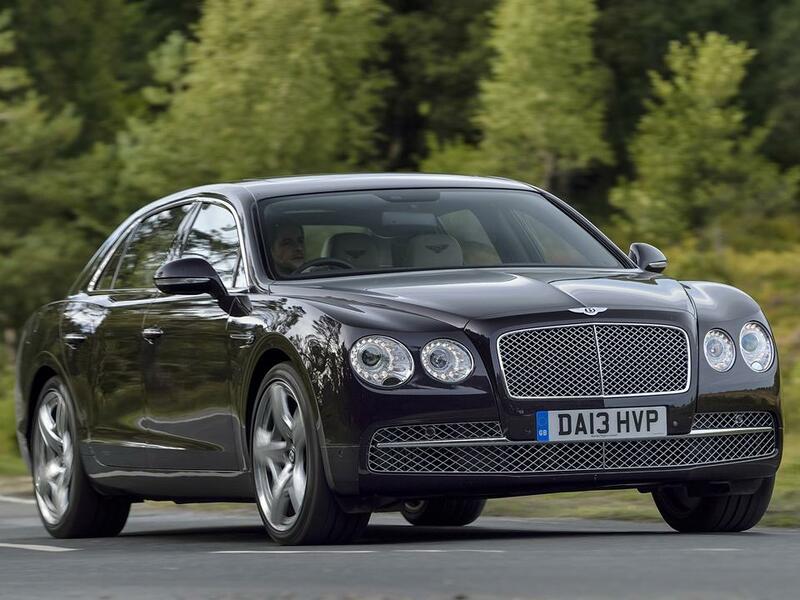 The Bentley Flying Spur wins hands-down at 616 bhp compared to the Rolls Royce Ghost’s 563 bhp. 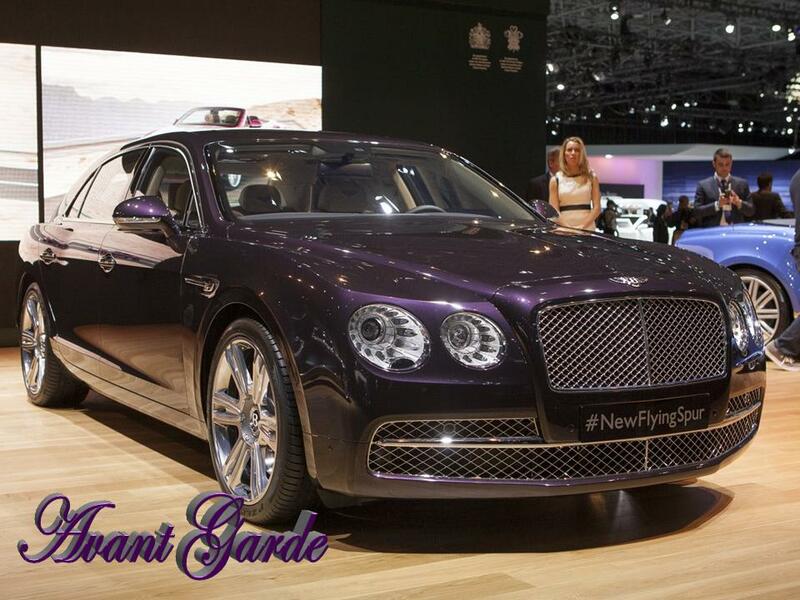 And lest we forget, the Flying Spur has a top speed of 200 mph versus the Ghost’s 155 mph. 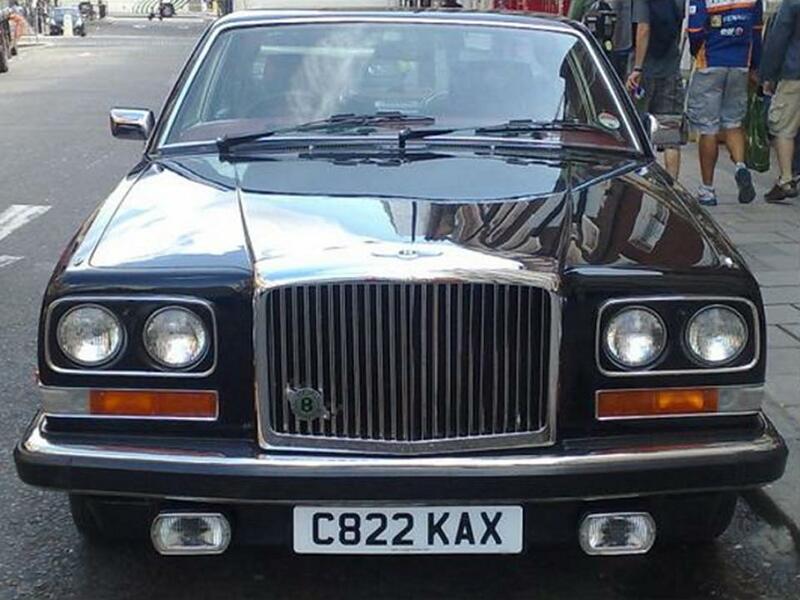 A Bentley has always been NOTORIOUS for high revs at low rpm. 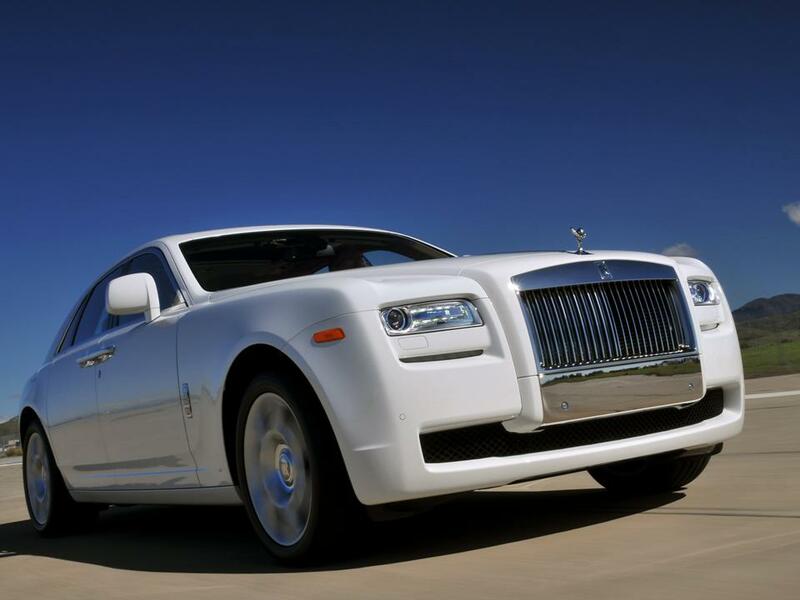 But then a Rolls Royce is more luxurious than a Bentley……one is not inclined to drive a Rolls Royce at 200 mph. For instance….how many CEO’s, CFOs & COOs, do you see sprinting off to the boardroom at 200 mph? How many show up at an elite golf course screeching around those scenic leafy runs at 198 mph? Or better still….how many Bentley and Rolls Royce owners drive their prized masterpieces at top speed perpetually every time they take a spin? Huh? 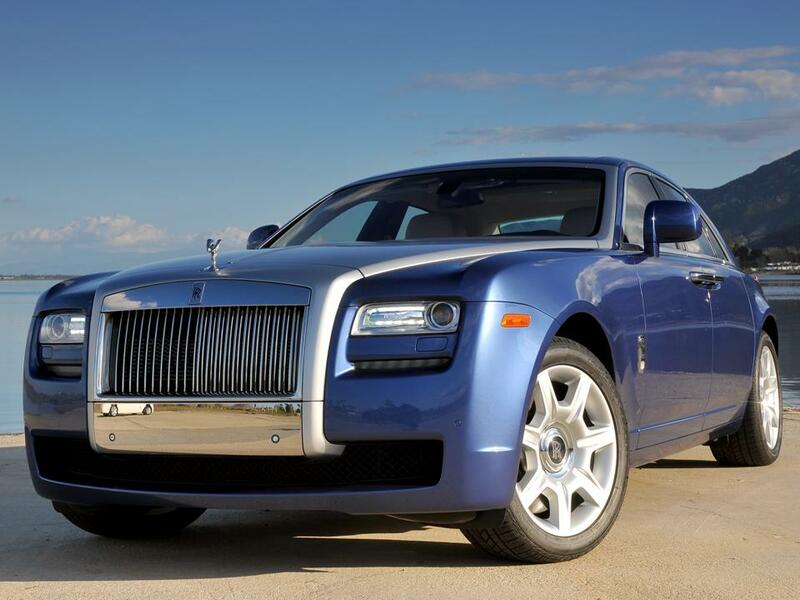 So we will give the Rolls Royce Ghost “Honorable mention” for the power category. However, 563 bhp isn’t exactly a puddle-jumper right? They both use a V12 engine, one is simply more refined and cosseting by nature, but it is the legendary Bentley that always “started the dance.” The Rolls Royce is prim and proper as the best car in the world should be and operates accordingly….white gloves for the Rolls Royce and asbestos gloves for the Bentley! Let’s look at their construction. 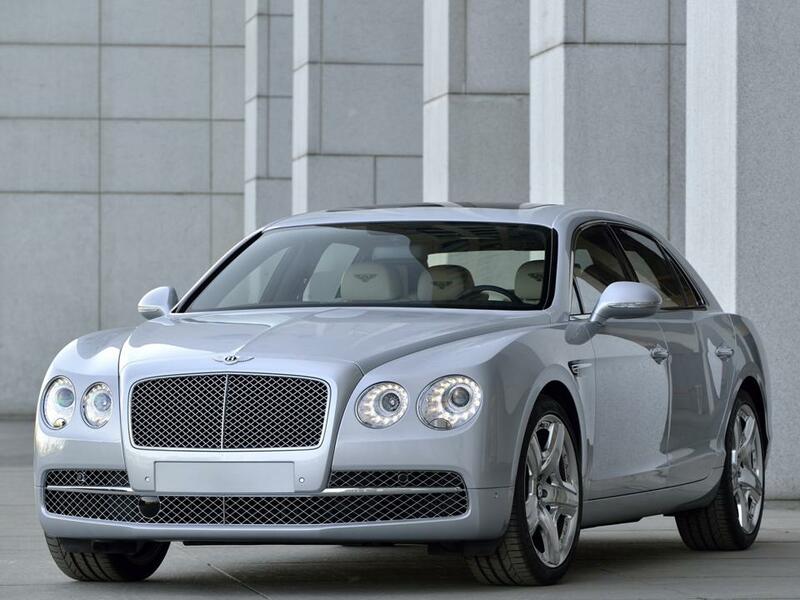 The Bentley Flying Spur has completely redesigned architecture with crumple zones both front and rear which accordion at a controlled rate upon impact. Reinforced “B” posts, sills and front cross members were enhanced for safety. The bonnet and front wings are made from aluminium using the ‘Superform’ process where a sheet of aluminium is heated and compressed air forces the material onto or into special dies. This process eliminates unnecessary body welds and seams. The one-piece body panels not only provide a more sculpted design but also aids in aerodynamic efficiency. The unmistakable Bentley matrix grille with bi-Xenon head lamps and LED daytime running lights balance the beautifully beveled nose clip giving the Flying Spur a more authoritative stance. 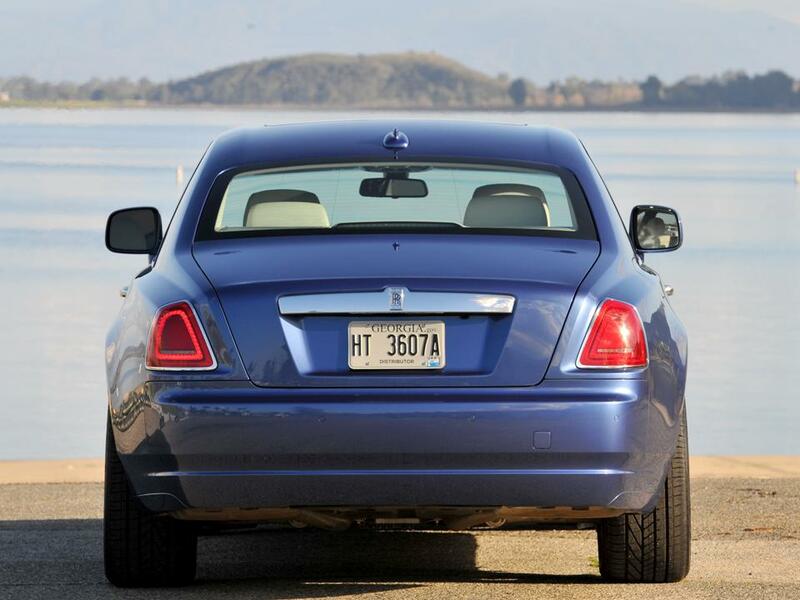 The subtle sweep of its roofline back to the square single ellipse tail lamps hint at the luxurious Bentleys of the past but styled for today with contemporary flair. The rear boot is longer and lower. Its boot lid is made from a polymer composite material that integrates the main antennae for the car’s electronic systems. The doors were redesigned using fewer individual parts. 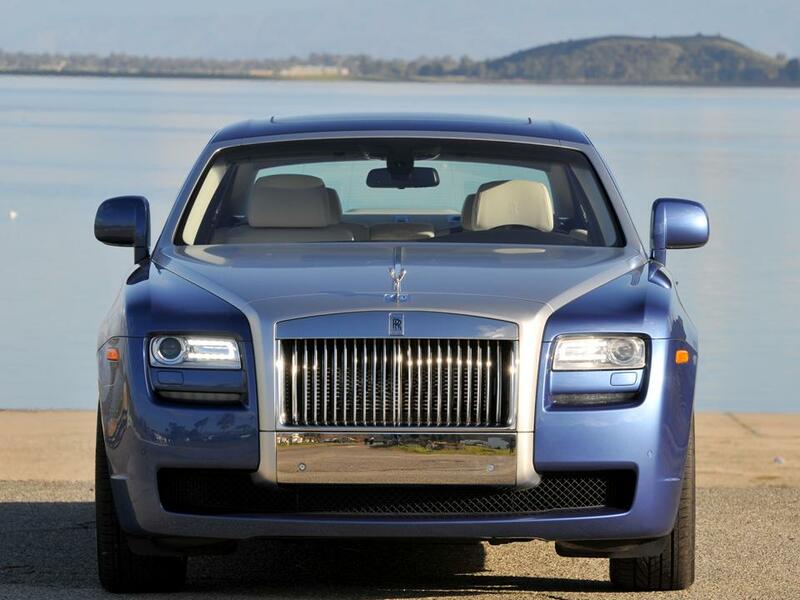 The Rolls Royce Ghost has fluid yacht-inspired lines designed to capture a sense of adventure. 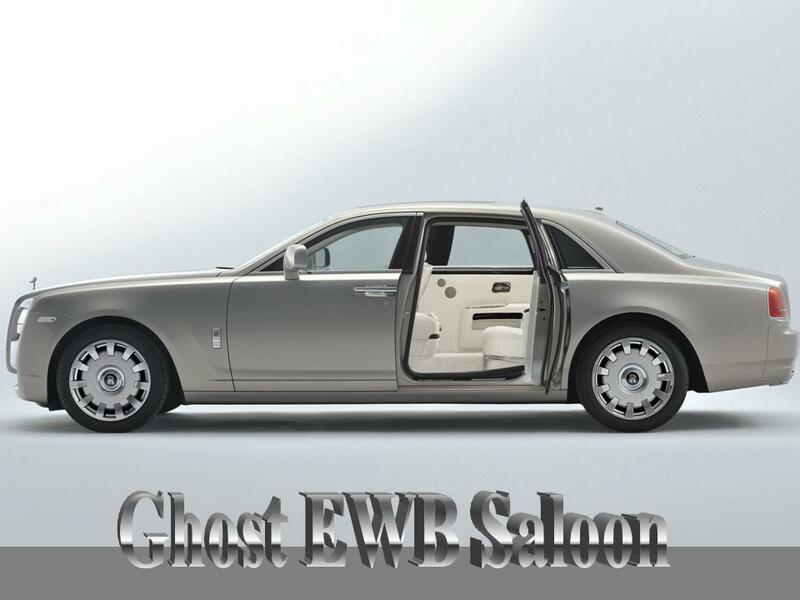 The Ghost has ample doors and a high shoulder line. Its authoritative architecture features self-closing rear coach doors. 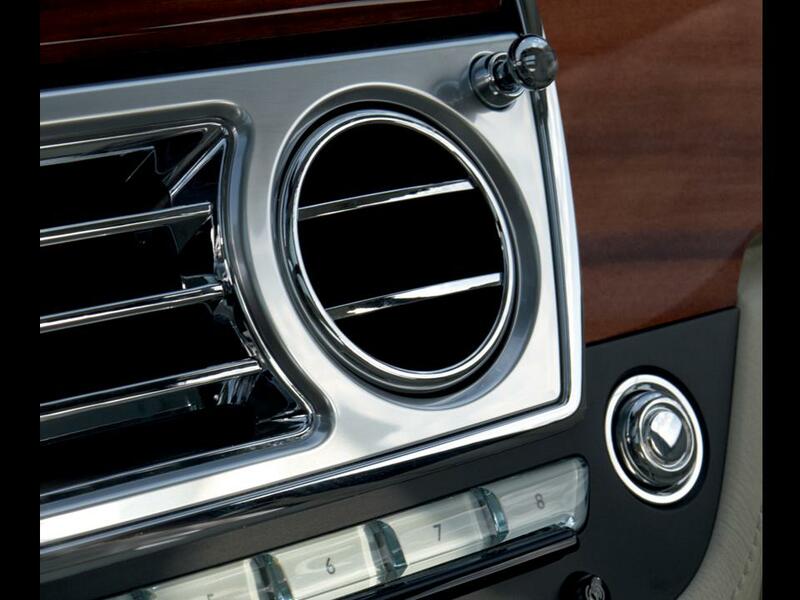 The familiar “Spirit of Ecstasy” adorns a contemporary rendition of the classic radiator grille. The long low slung bonnet and short front overhang echo classic Rolls Royce DNA. The body has been engineered with a double front bulkhead to help insulate the interior from engine noise. It is constructed from steel sections and then wrapped in steel panels, which are brazed by hand. This allows a near-seamless join, which is then sanded by hand until it is perfect. In total, Ghost’s frame contains 4.9m of seam weld and braze and 6,988 spot-welds. The bonnet and windscreen surround are then honed from aluminium. Ghost is built around a steel monocoque body, which means there is no separation of chassis and body. The advantage of this construction is a reduction in exterior dimensions while preserving interior space. 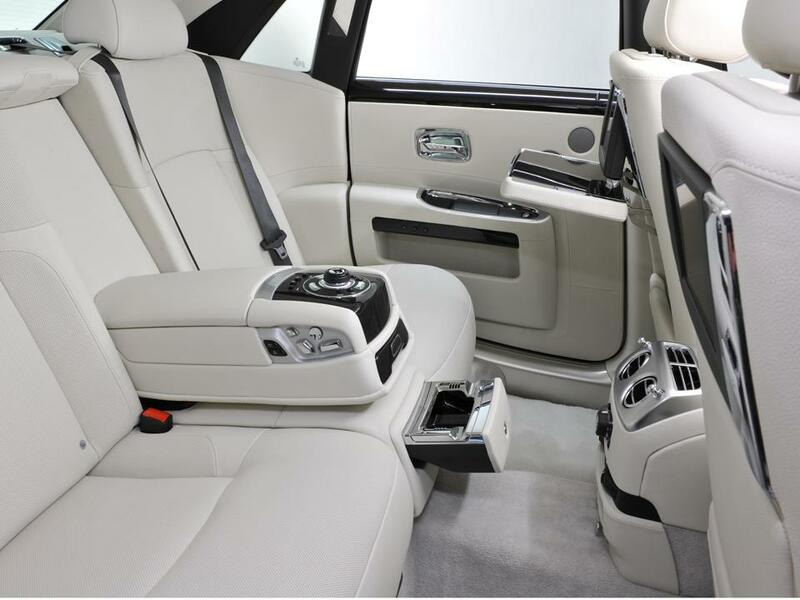 Consequently while Ghost is over 400mm shorter overall than the Phantom saloon its interior space is comparable. 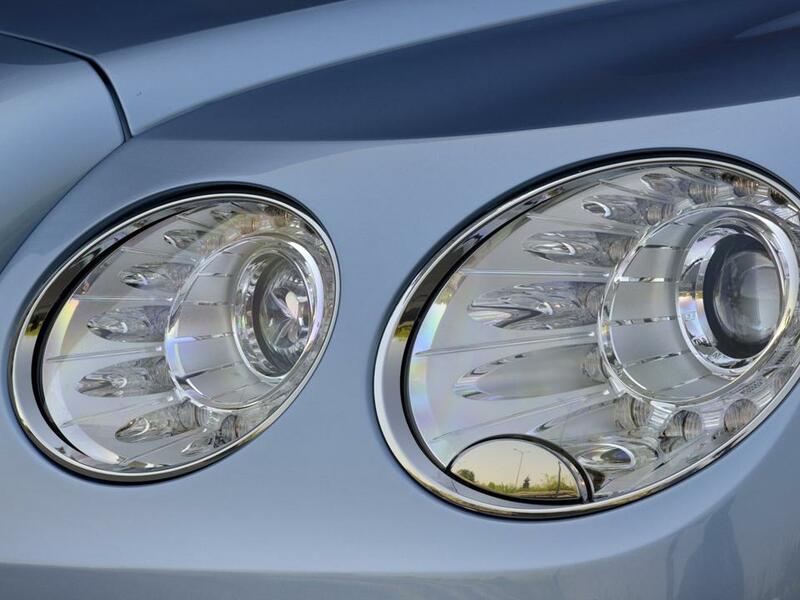 A contrasting Silver Satin finish (introduced on 200EX) is an option for the bonnet, grille and windscreen surround. The finish is achieved by setting silver metallic paint under a layer of lacquer, giving a flawless matte finish. So which one do we choose? Each is manufactured in a handcrafted world-class manner using the latest technology. Both cars are absolutely stunning in design, contemporary, International-sized so they both are at home anywhere in the world. They both are bespoke……which one? Still neck to neck…so let’s dig further. We’ve kicked the tires; now let’s look into each cabin which is a superbly-sinfully-decadently ultra-luxurious ambience rich and extremely rare in today’s world. The luxurious cabin surrounds the occupants with leather, wood, and technology. The Flying Spur eliminates noise from the outside using a new twin-sealing system, under floor sheets and additional door insulation. 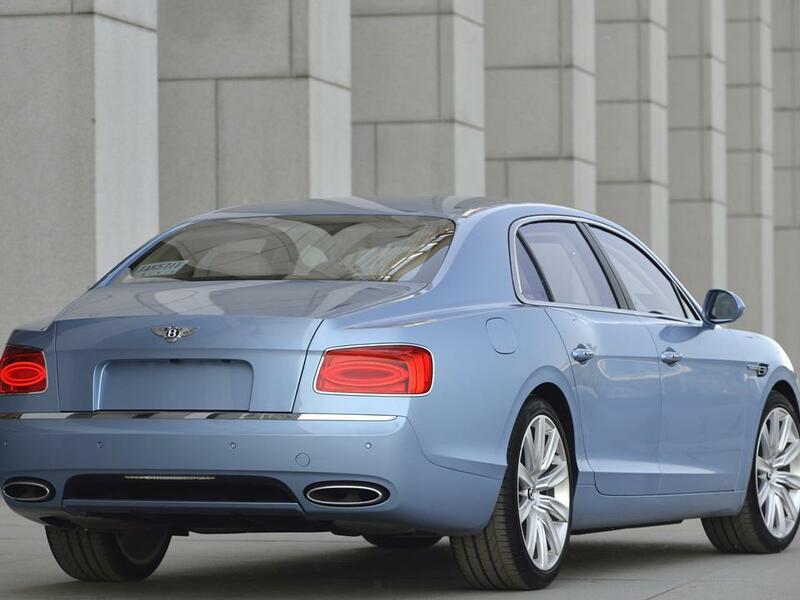 Unlimited bespoke options are available to make your Bentley Flying Spur uniquely individual. The cabin is available as a four or five seat configuration. The four seat version uses a center console that begins in the front at the dash and sweeps to the rear dividing individually adjustable heated and ventilated seats. The designers, together with the craftsmen of Bentley’s renowned woodshop, have applied the finest wood veneers to finish the cabin. The Flying Spur features book-matched and mirror-polished veneer to the fascia panels, consoles, waistrails and picnic tables. The veneer of the dashboard meets that of the doors in a perfectly aligned curve, giving the impression of an unbroken arc of wood around the interior. It is crafted entirely by hand, cured for 72 hours and clear-lacquered to bring out the grain and character of the wood. A range of seven sophisticated veneers are available (two as standard – burr walnut or dark fiddleback eucalyptus). To complete the luxurious and opulent nature of the cabin, the roof lining and pillars are also trimmed in natural leather. Layers of supple foam are applied to all tactile surfaces beneath the hide. Electrically operated rear side blinds, fitted as standard, permit privacy for rear-seat passengers if desired. Customers may also specify an optional glass sunroof at no additional cost. 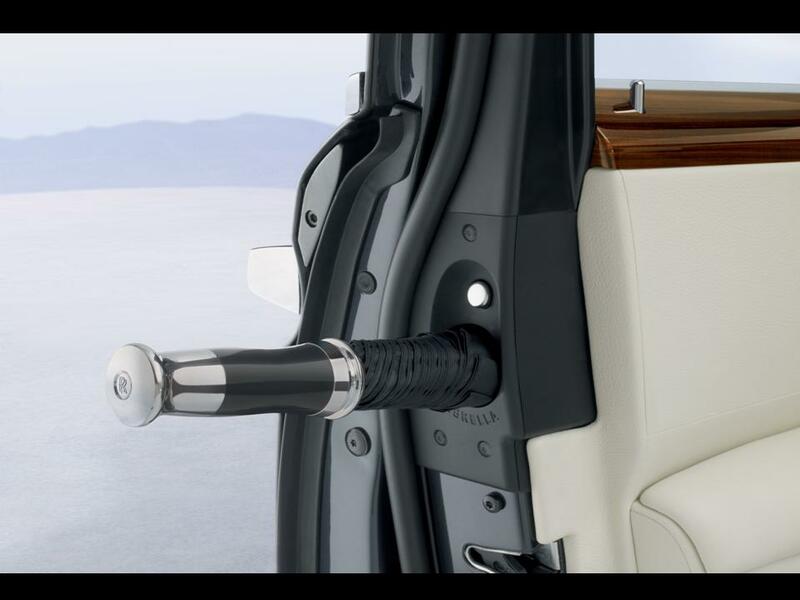 Behind the central rear armrest, a nine litre bottle cooler can be specified to keep drinks perfectly chilled. The interior designers also focused on improving interior stowage around the cabin, while including new electronic technologies discretely applied throughout the interior. 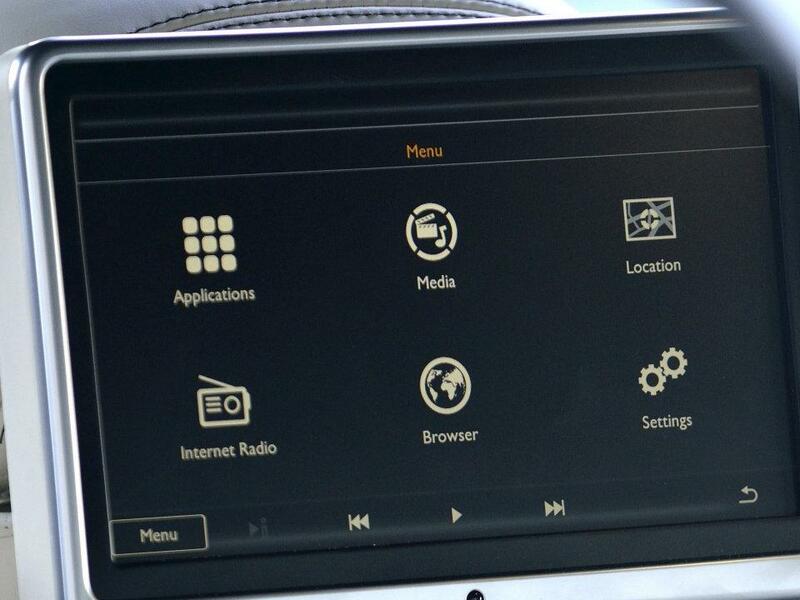 A touch-screen infotainment system with mobile connectivity including wi-fi allows passengers and driver to interface with the outside world. 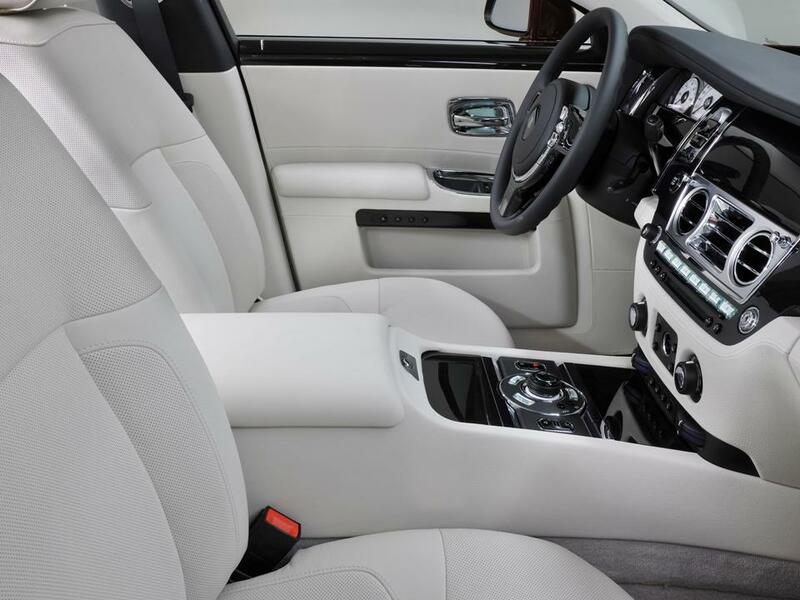 A rear seat entertainment suite and a new bespoke hand-held touch screen remote gives rear seat occupants control over an extensive range of features such as adjusting the climate control system, satellite navigation and multi-media systems. 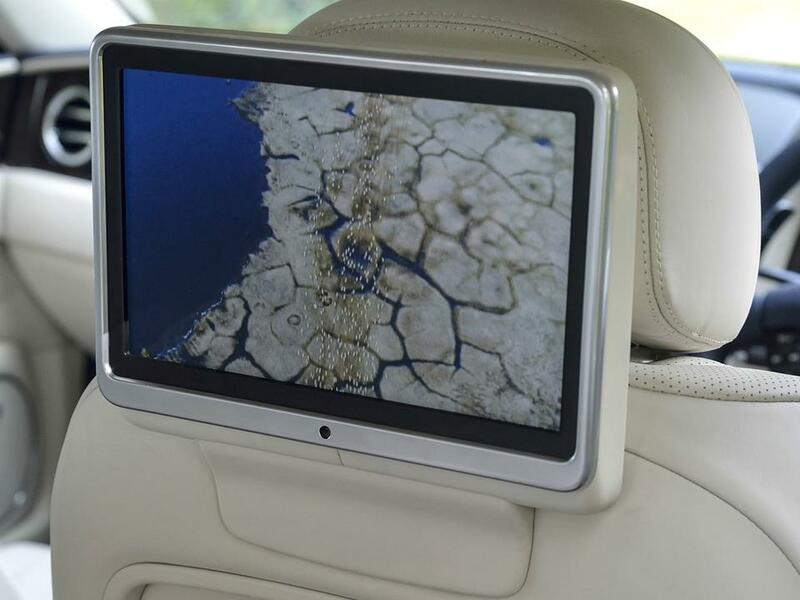 Each rear passenger can view separate content, and stream media from the Bentley Connectivity Unit (BCU). The multi-media specification allows portable devices, laptops and tablet computers to connect to the internet through the car’s wi-fi hotspot. It has 64GB storage. Two 10” LCD screens installed into the backs of the front seats, top loading multi-media players fitted to the rear compartment allows videos, photos & music from DVDs, SD cards, and USB devices including iPod and iPad. A USB charging port keeps batteries fresh. 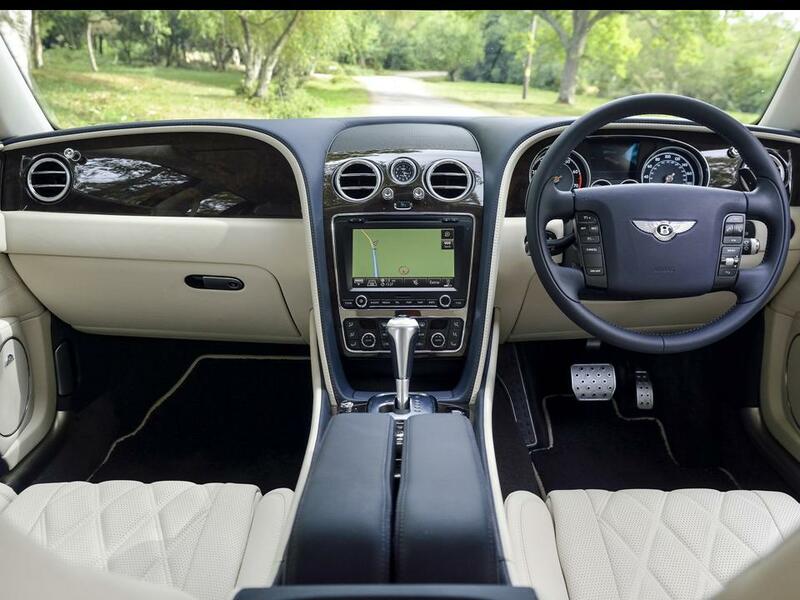 Bentley wireless headphones complete the specification for the ultimate rear seat infotainment system. An eight channel 1100 watt Naim for Bentley system with balanced mode radiators and eight speakers is a popular audio option. 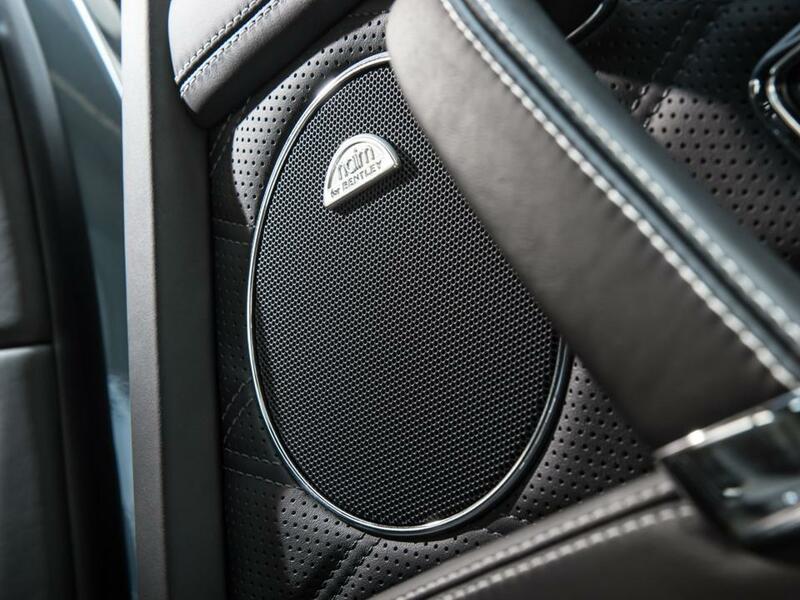 The system is custom fitted to the acoustics of the Flying Spur’s cabin for concert hall quality sound. And now we have the Ghost’s reprisal….. 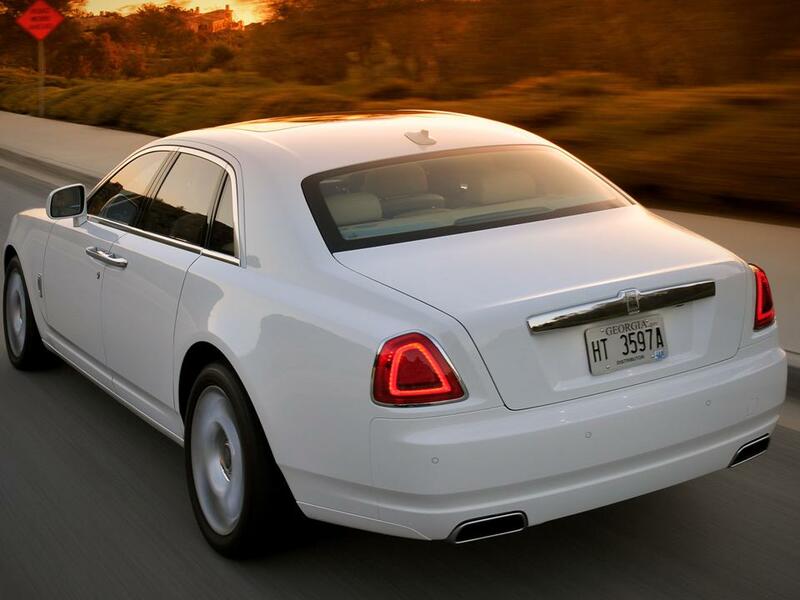 The Ghost has an invitingly elegant cabin. 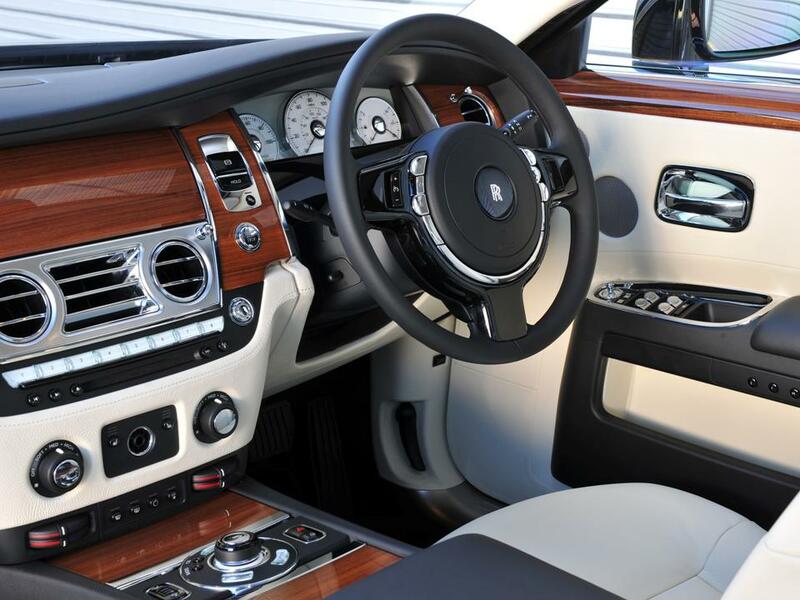 Opulent frosted lamps and chrome door handles, traditional violin switches and eyeball air vents, combined with frosted white dials and refined instrumentation, show that this is every inch a Rolls Royce. There is a serene effortless comfort, with convenience features flaunting the latest technology which makes every drive an exclusive experience. Entering and exiting is made easy through the substantial doors. Its rear doors are traditional rear-hinged, self-closing coach doors. Teflon coated umbrellas are stowed away in each front door. 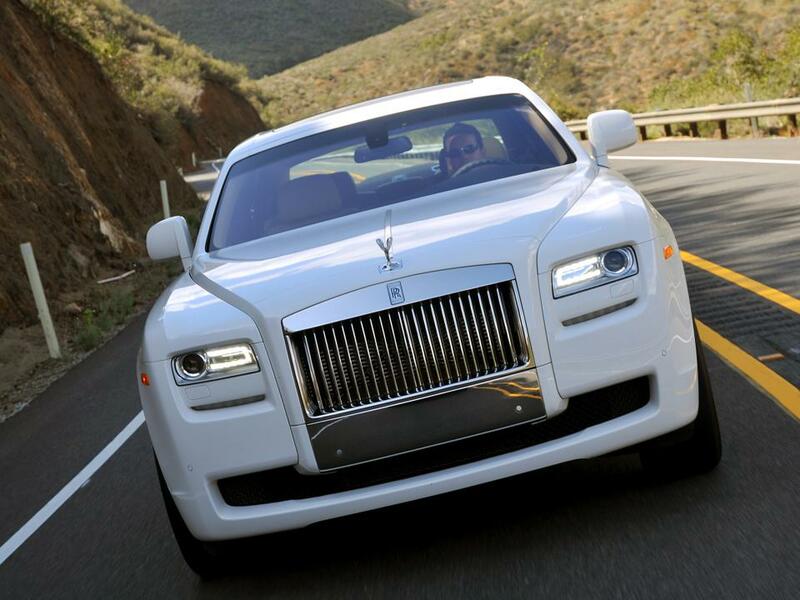 Ghost is more driver-focused than any Rolls-Royce car before it. The driver sits in a slightly elevated position behind the wheel, described as the authority position. This makes the road in front of you much clearer. The fascia has been kept deliberately clear; it is spacious in design and has an intuitive layout. 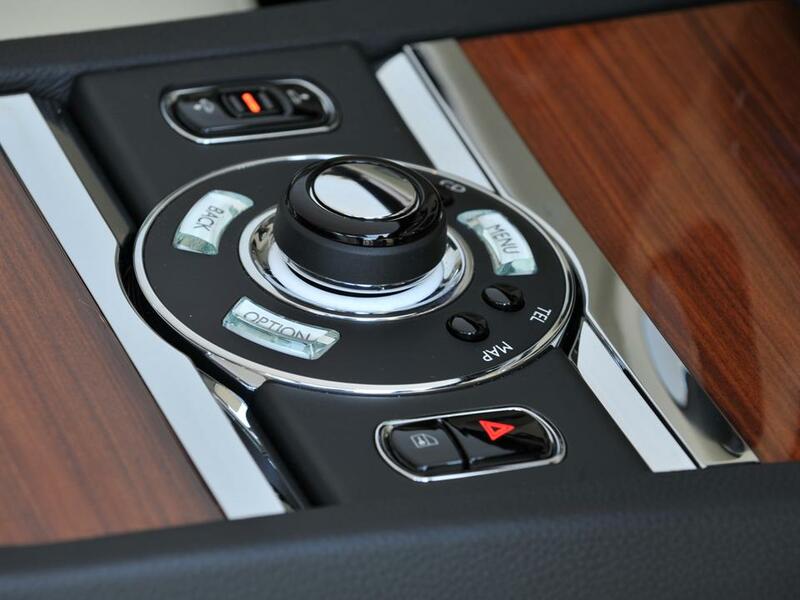 The controls are neatly sculpted, with the more important functions augmented by accents of chrome. The soft light of the instrument panel glows through the familiar black-rimmed steering wheel, which in turn employs a number of violin keys as well as an ergonomic roller-ball control. The control center display is concealed behind a veneered panel until needed. 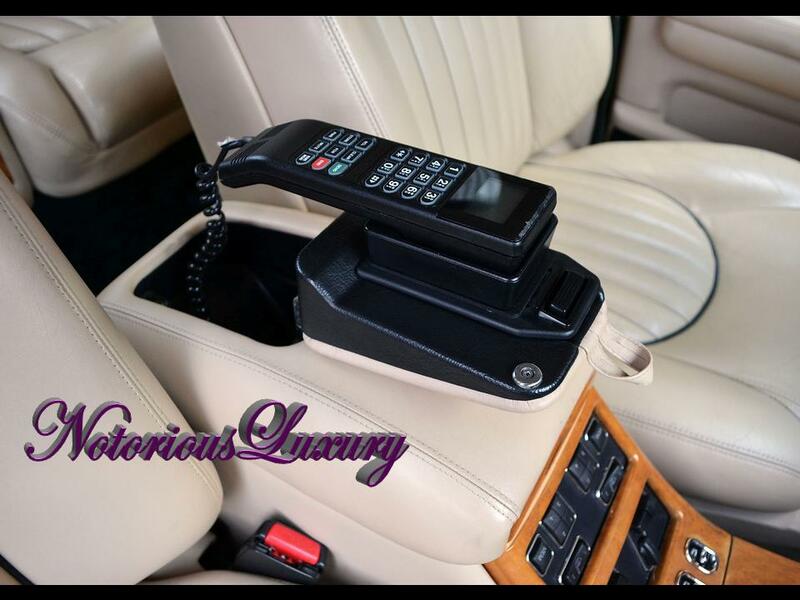 All features such as satellite navigation, telephone, communication, and entertainment functions are displayed here and managed via central rotary controller, flanked by quick-access buttons on the front center console for convenience. 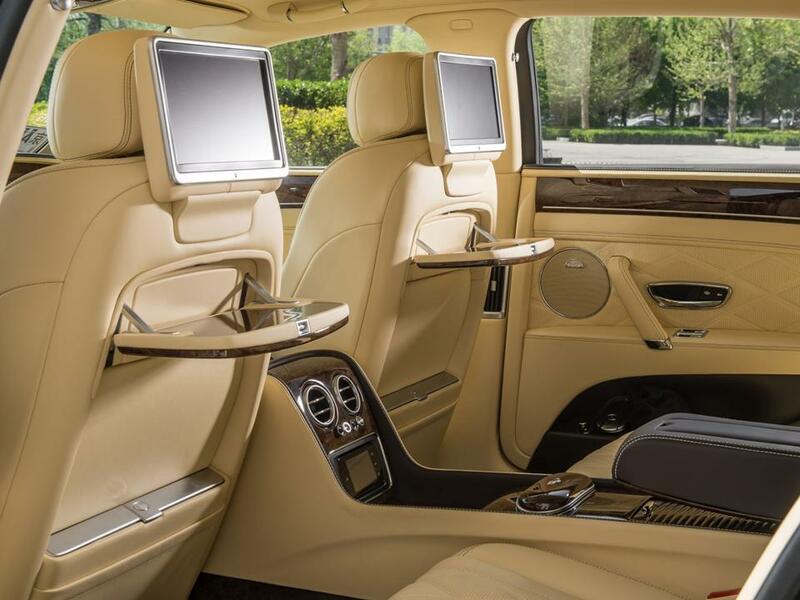 It takes eight hides to upholster a Rolls Royce cabin. 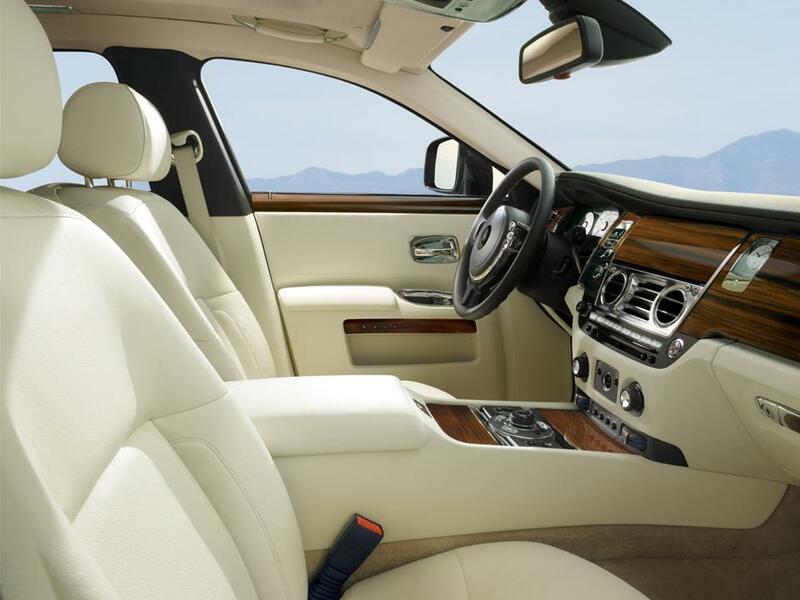 Flawless leather is an absolute requirement for the interior. For this reason, the leather is sourced from bulls raised in pastures free of barbed wire, ensuring that there are fewer imperfections in the leather. Any other marks are carefully avoided by skilled laser cutters. To ensure color consistency, each hide comes from a batch dyed at the same time. The hides are drum-dyed rather than painted, ensuring that the color permeates right through the leather. The process also means the leather remains much suppler, preventing cracking or squeaking ensuring durability and longevity. All seats and interior panels are hand-sewn and hand-fitted. The natural beauty of the veneers in Ghost is expedited by dedicated craftsmen. The natural burrs and grains are chosen for their character; veneer specialists choose only the finest logs from which these very thin cross sections are taken. Veneer from one tree is used in any car. This guarantees the grain matches throughout the interior, but that each area ages at the same pace. The parts are milled and sanded by hand before being coated with five layers of lacquer for protection and a mirror-like shine. The Ghost is equipped with an audio system delivering 600 Watts of sound through a 10-channel amplifier and 16 speakers, including two floor-mounted subwoofers. USB and auxiliary inputs allow for the integration of external audio devices and a 12.5 GB hard drive enables storage of music files from USB or CD player sources. 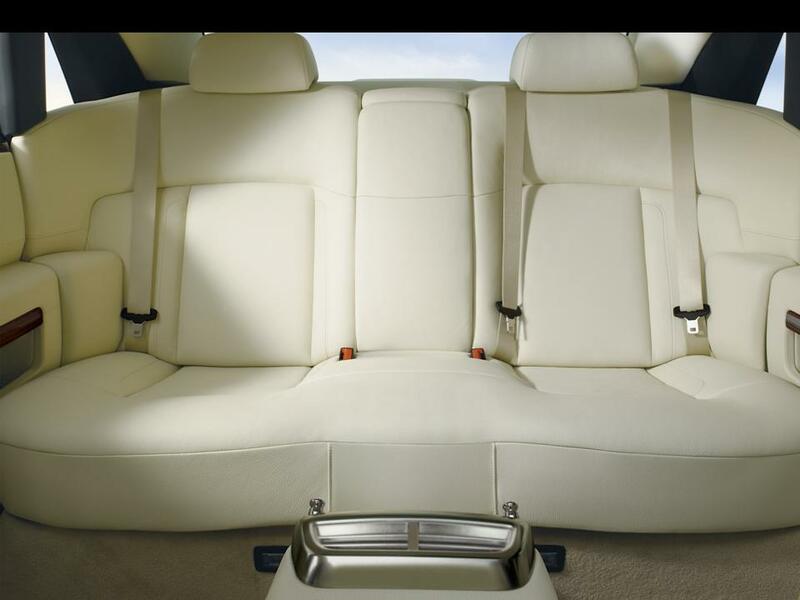 Available as an option with both seating arrangements is Theater Configuration, which allows all settings that do not directly affect the driver to be controlled from the rear seat. 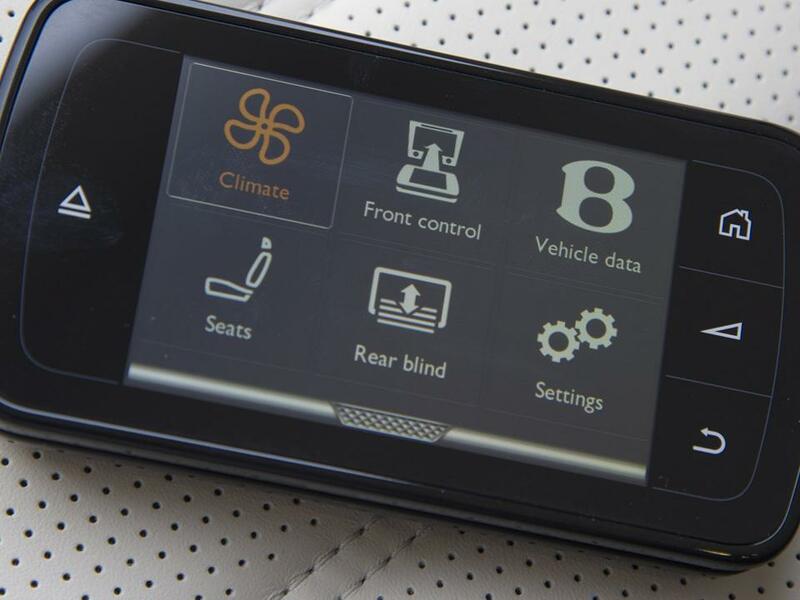 The functions are displayed on two 9.2in LCD screens in the back of the front seats; these can be angled to suit the viewers by a central, armrest-mounted, rotary controller. The screens can be regulated independently of each other and the entertainment can also be listened to individually with most headphones. A six-disc multi-media changer, mounted in the glove compartment, is fitted as part of this option. After comparing styling, performance, and comfort and convenience, there is absolutely no winner or loser here. Each has a counter for the other’s counter so to speak. It is an intricate chess game between the two most famous luxury saloons on earth. Both come from a long line of grand touring and thoroughbred bloodlines. Both offer power, presence, and prestige. Either would be at home anywhere in the world. One may scoff at the Flying Spur for not having two wheelbases like the Ghost, but then, the Bentley makes up in performance what it is remiss in other areas. 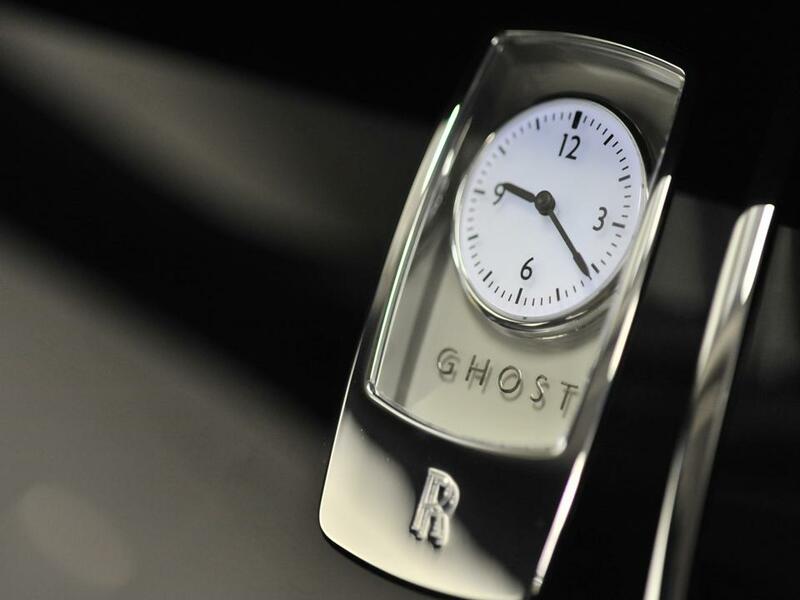 Sure the Ghost cannot match the 200 mph pace of the Bentley, but the Ghost pampers and cossets one in an avant-garde aura that only a Rolls Royce can pull off successfully. Both manufacturers work hard to make their clients happy. As for options, both are bespoke vehicles and cannot be compared in those areas as no two of either brand will ever be alike. No clones here, just individual masterpieces. How could one compare the Mona Lisa? She wasn’t mass produced changing her make-up hourly to satisfy every whim she is an institution, an individual institution, just like the Flying Spur and the Ghost. They are both stead-fast superlatives and until one huffs & puffs & blows the other’s house down, it will always be a tie. 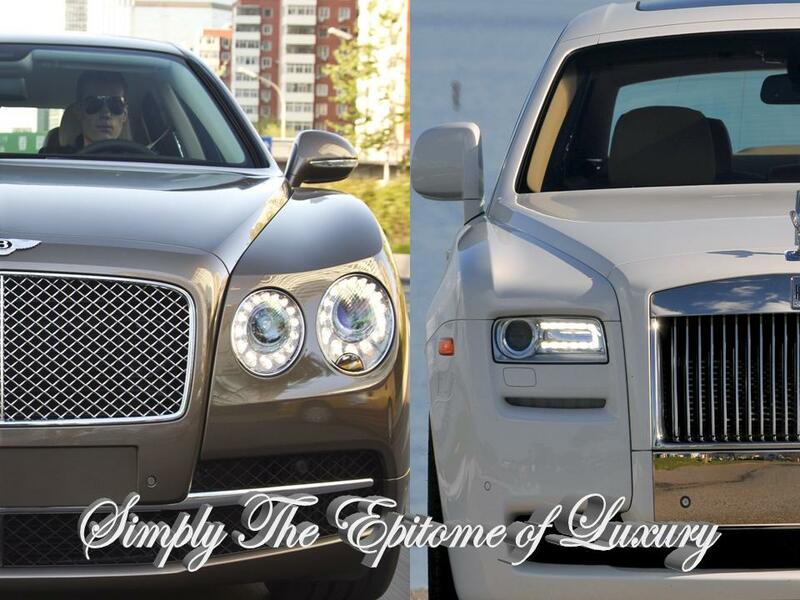 Both the Bentley Flying Spur and the Rolls Royce Ghost are sparkling examples of an illustrious heritage brought into the Twenty-first Century from a distinguished line of predecessors, they both inherit the traditional craftsmanship and painstaking attention to detail…..however, much of the past is honored, they both look to the future incorporating the latest in technology with their strive for absolute perfection. They both are eminently suitable for both formal business use with chauffeur or for the enjoyment of the owner/driver who likes to take the wheel himself. Why waste these exhilarating machines on a chauffeur? A person actually help to create considerably reports I’d personally state. Here is the very first time I personally used your internet-site site and to this time? We stunned using the evaluation you’ve made for making this particular submit outstanding. Excellent exercise! soon. Anyway, should you have any suggestions or techniques for new blog owners please share. You GO! I love your taste! Glad I can bring joy to you! 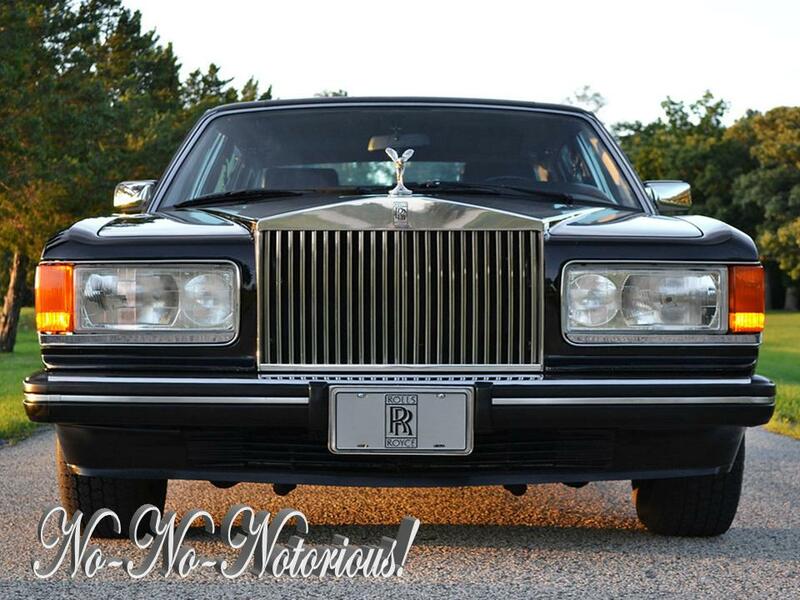 Wait until you see the site I am working on dedicated to Rolls Royce! No cup holders, no sale.